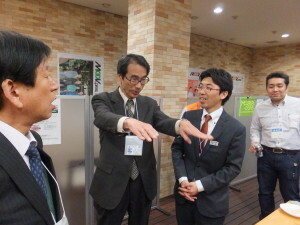 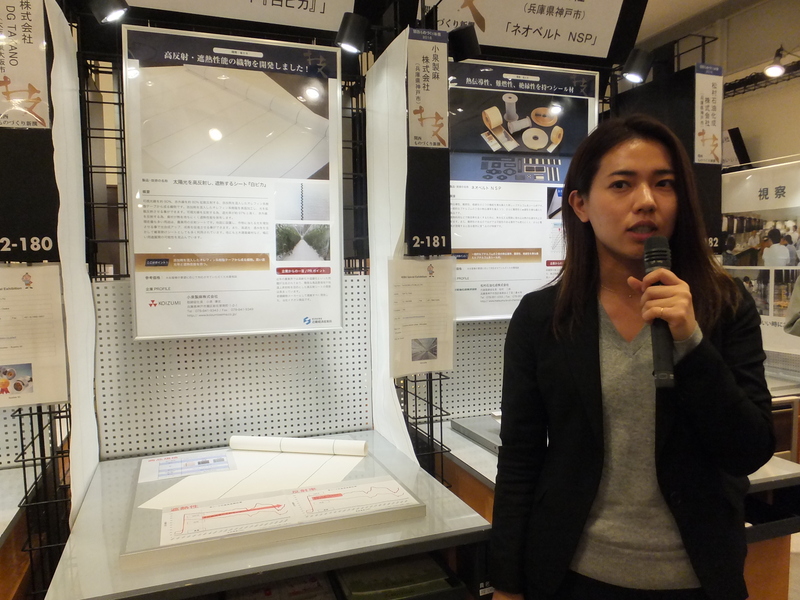 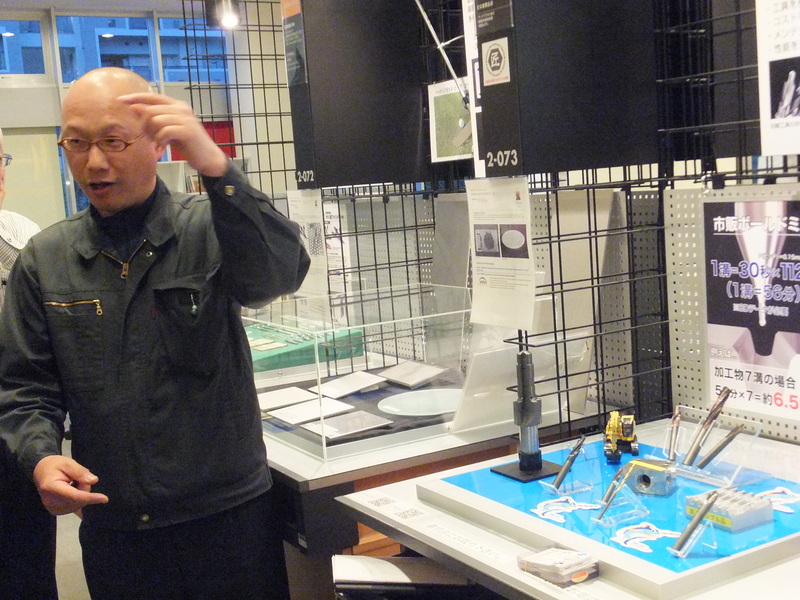 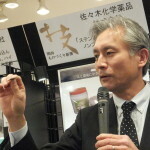 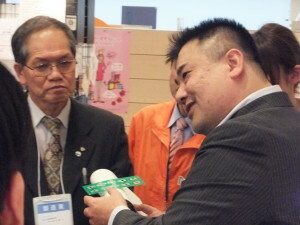 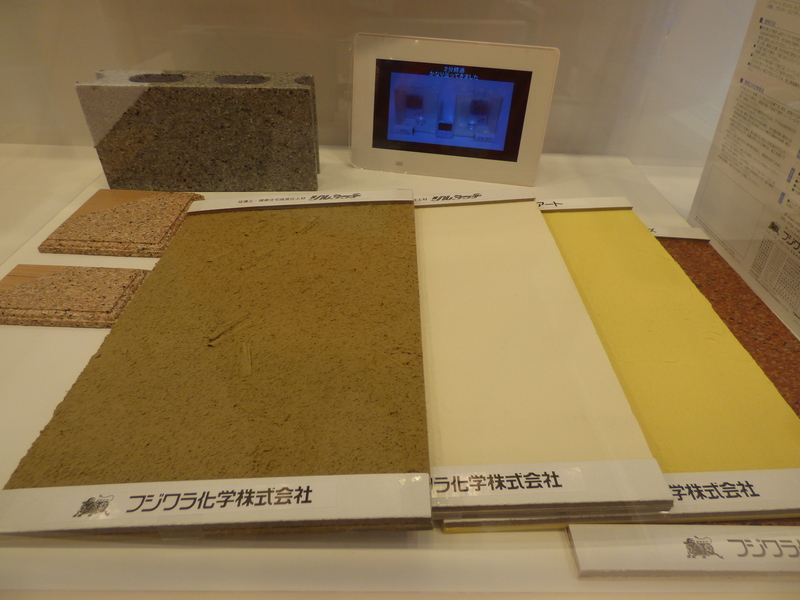 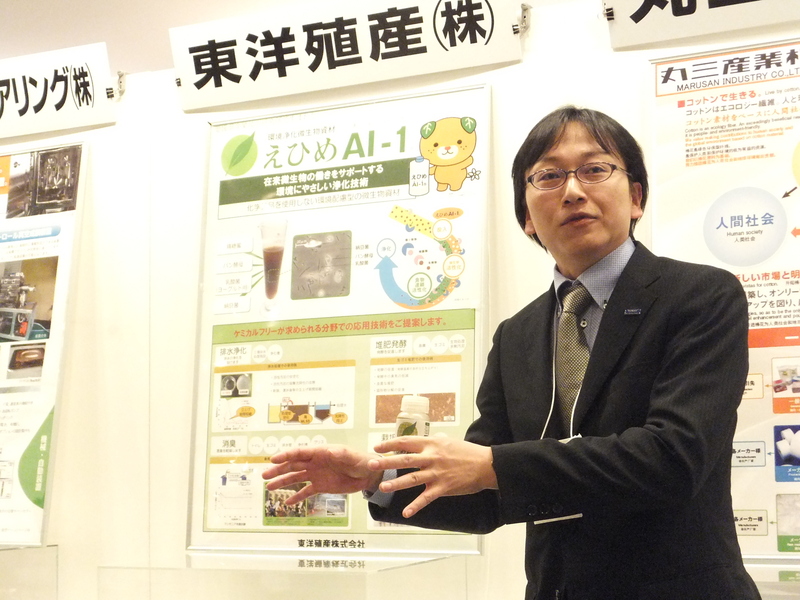 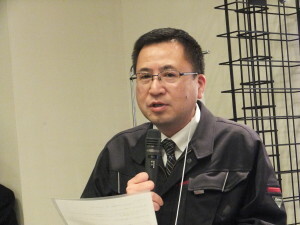 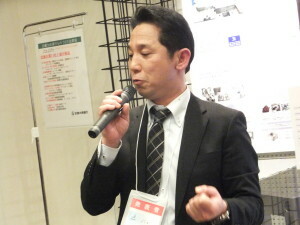 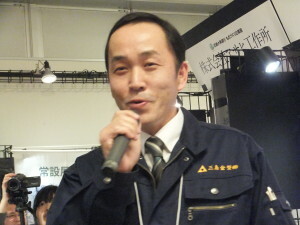 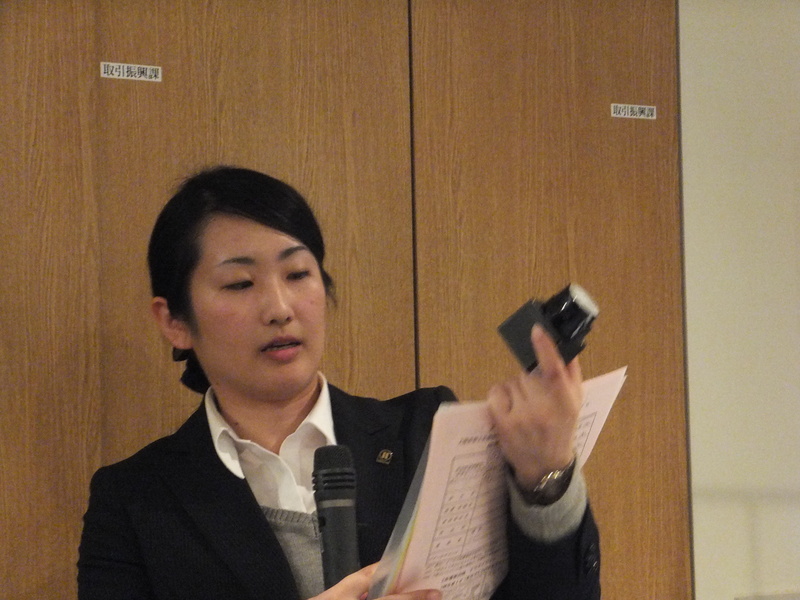 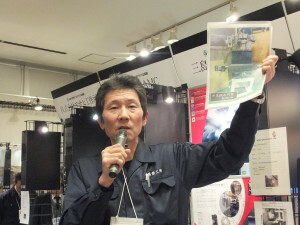 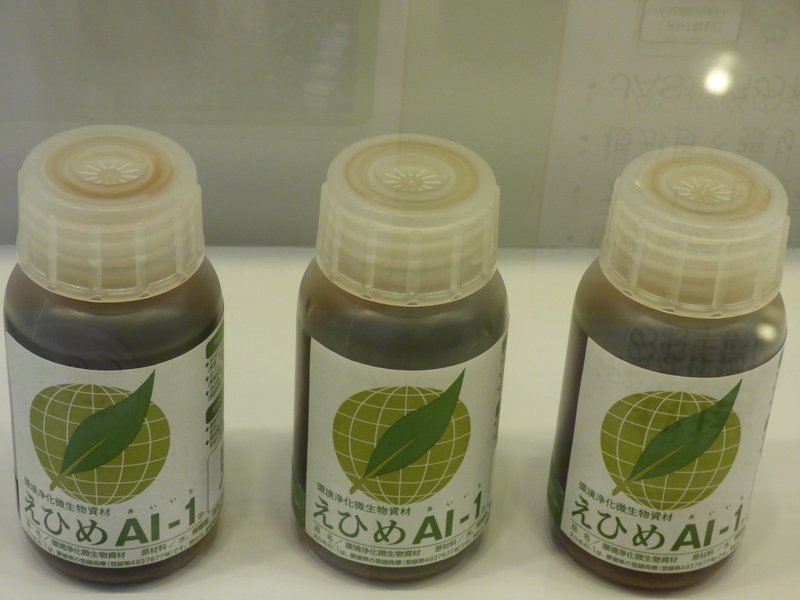 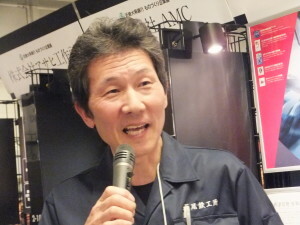 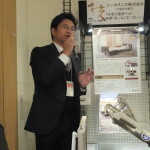 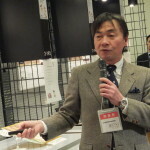 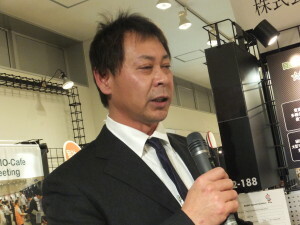 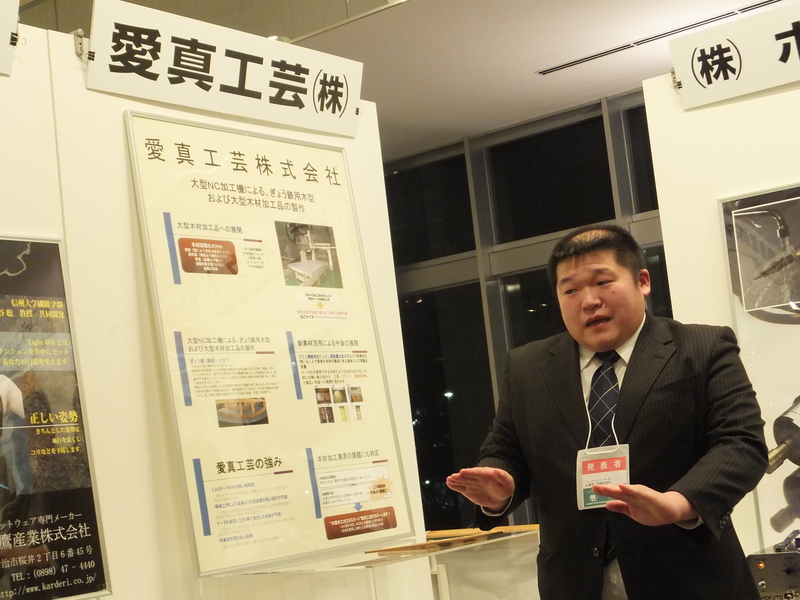 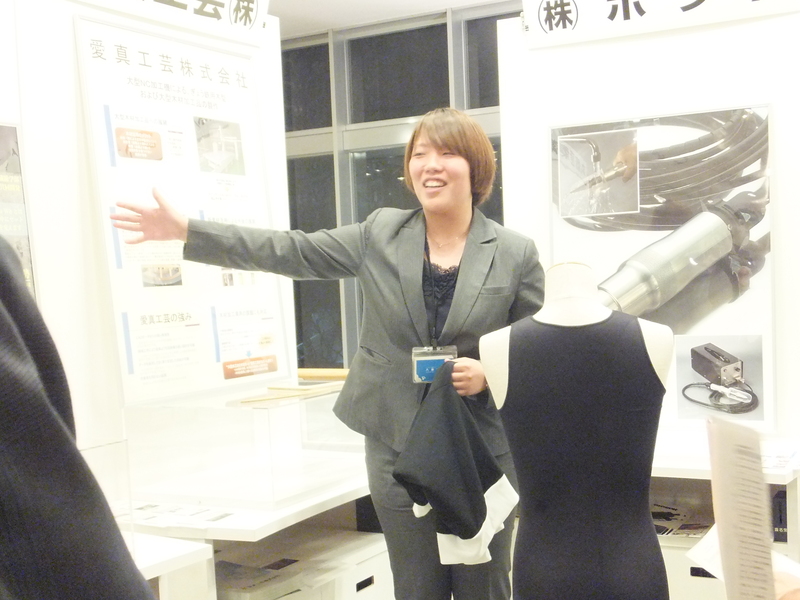 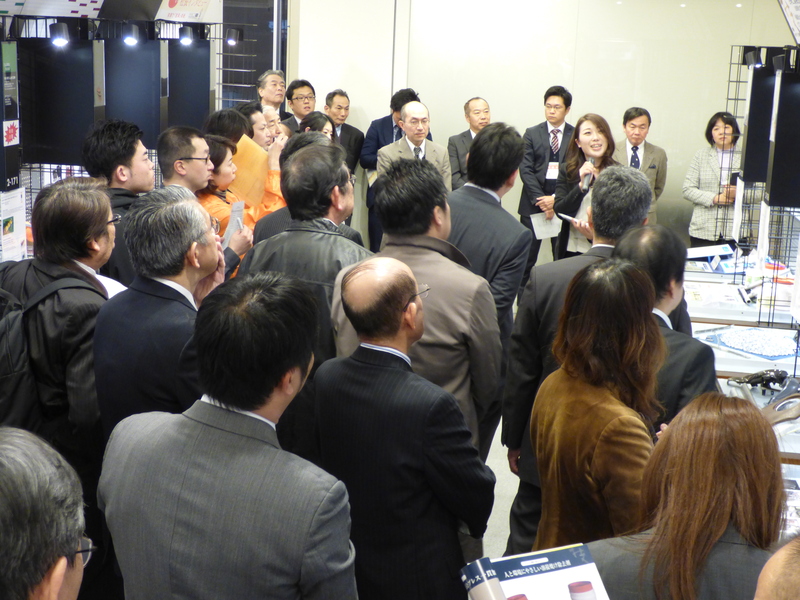 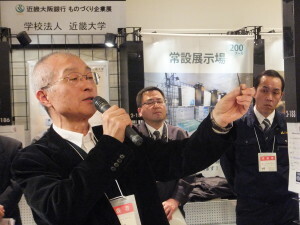 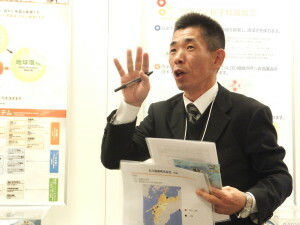 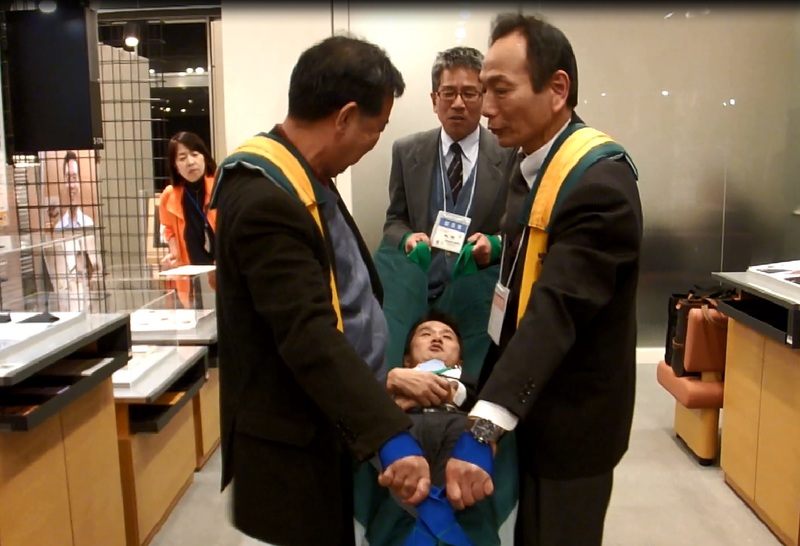 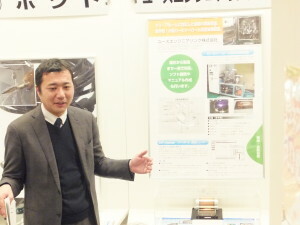 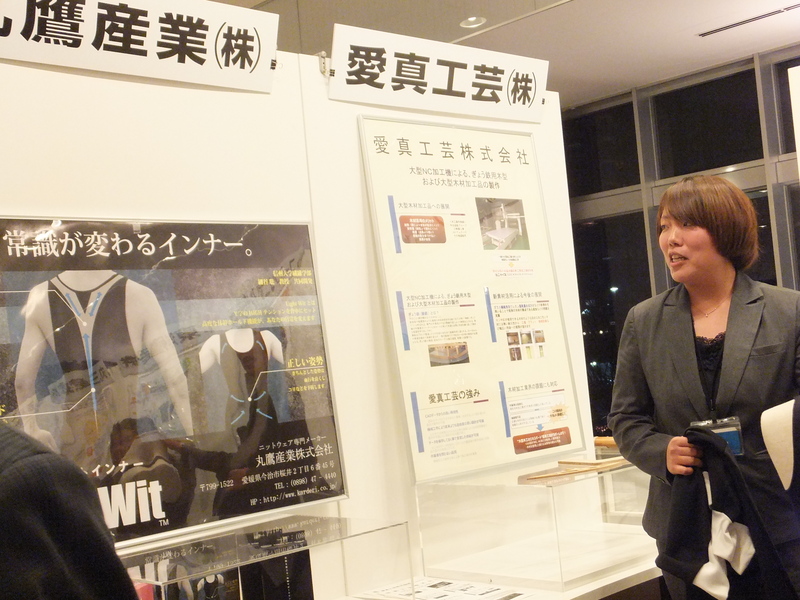 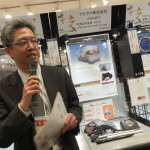 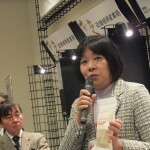 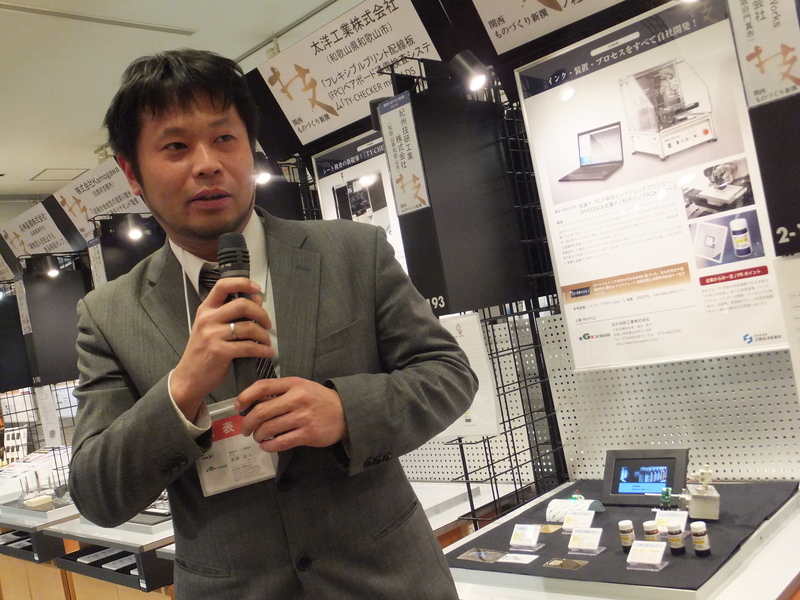 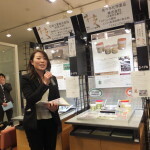 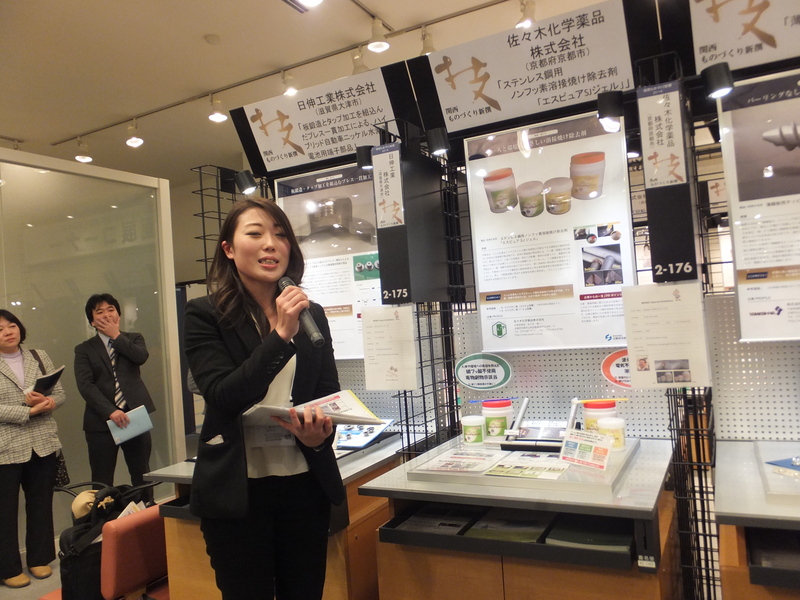 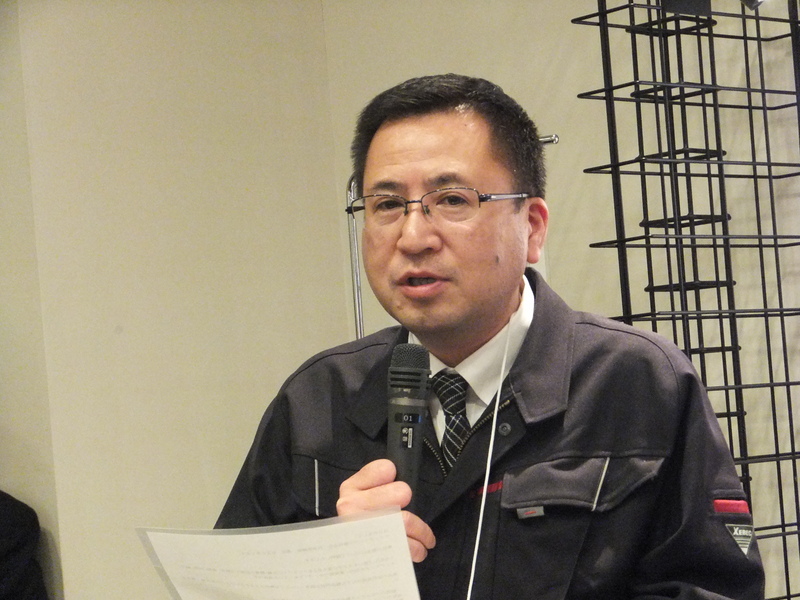 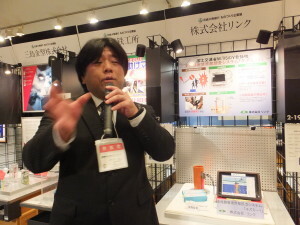 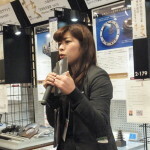 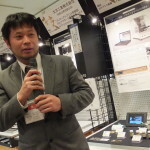 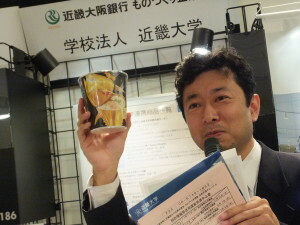 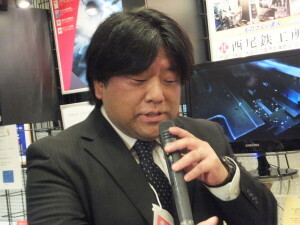 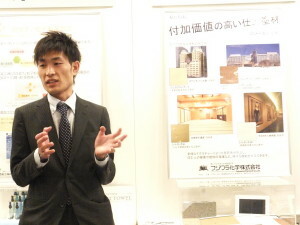 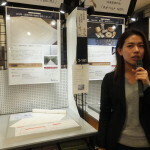 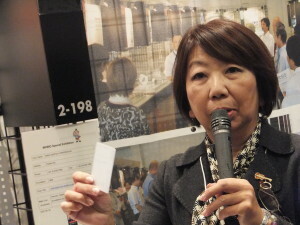 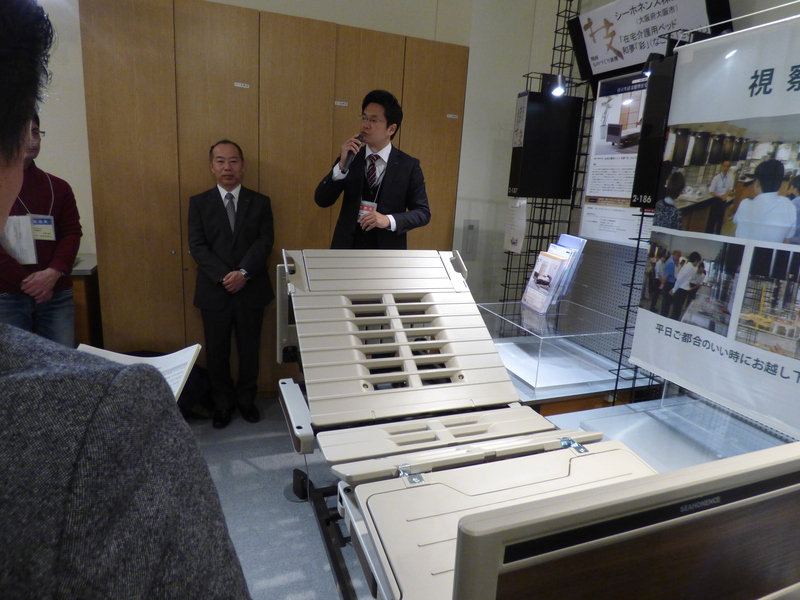 Technology presentation on Jan. 26 MOBIO Cafe Meeting, by 10 companies from Ehime Pref. 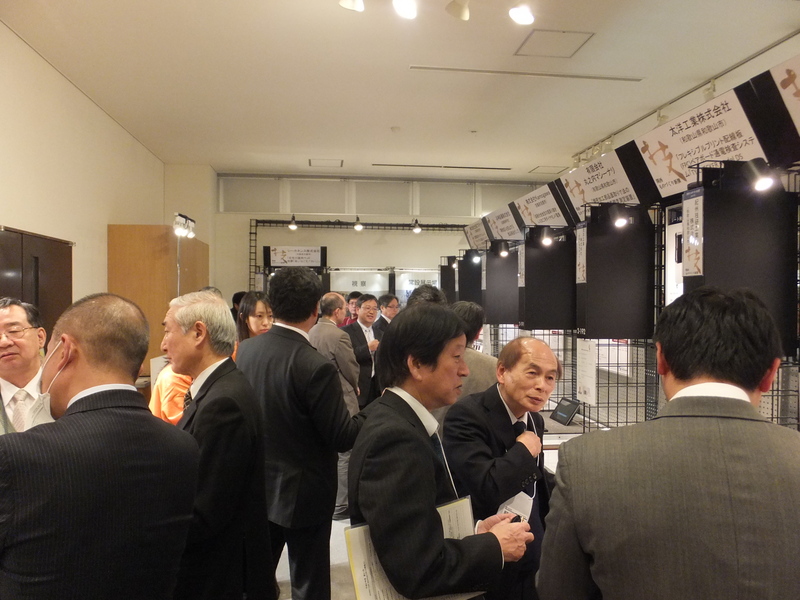 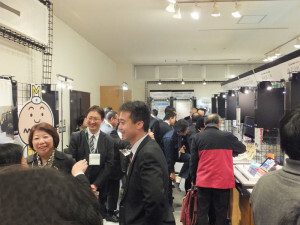 Exhibition was another step forward to develop new business among participating parties. MOBIO Café Meeting is a cross-industry gathering. It offers opportunity to participants asking any questions freely. 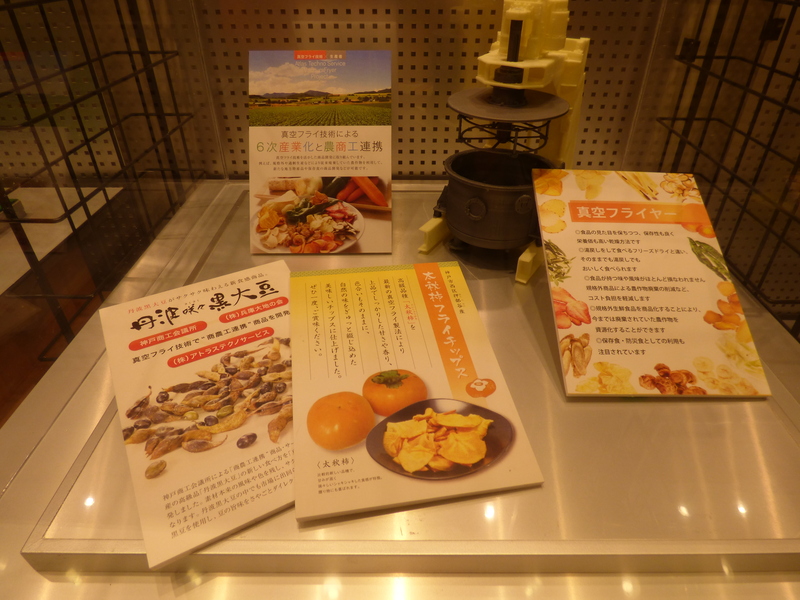 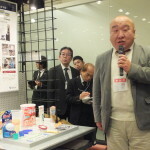 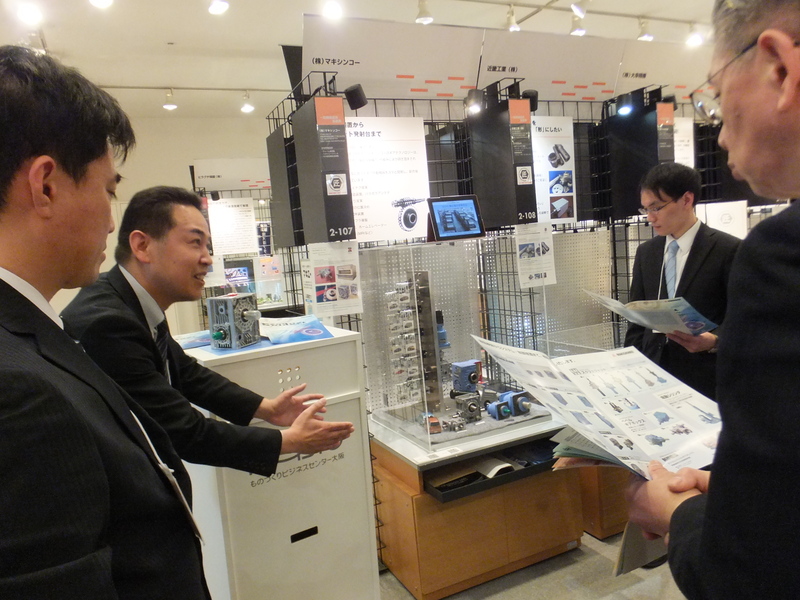 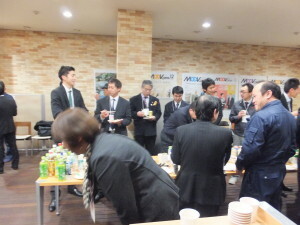 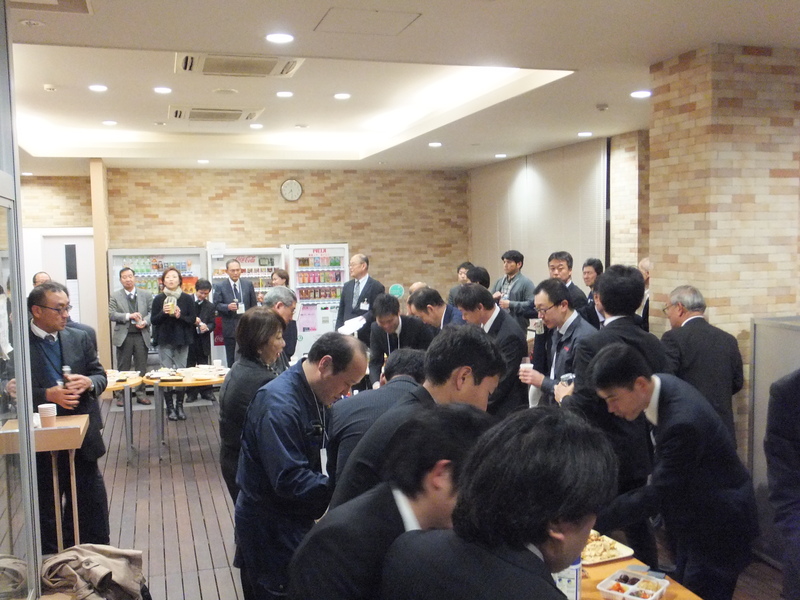 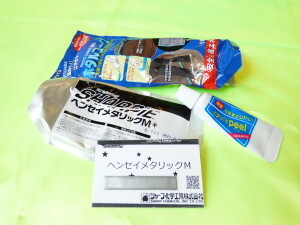 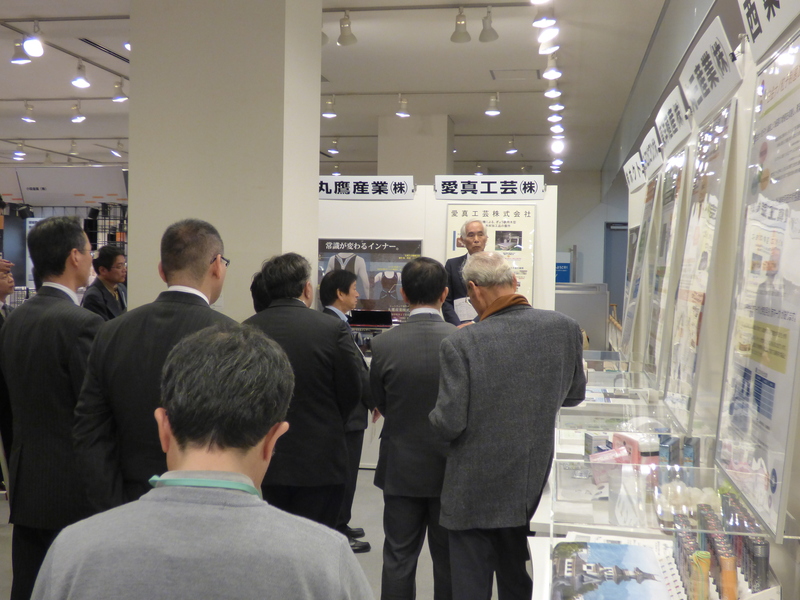 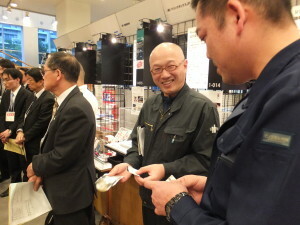 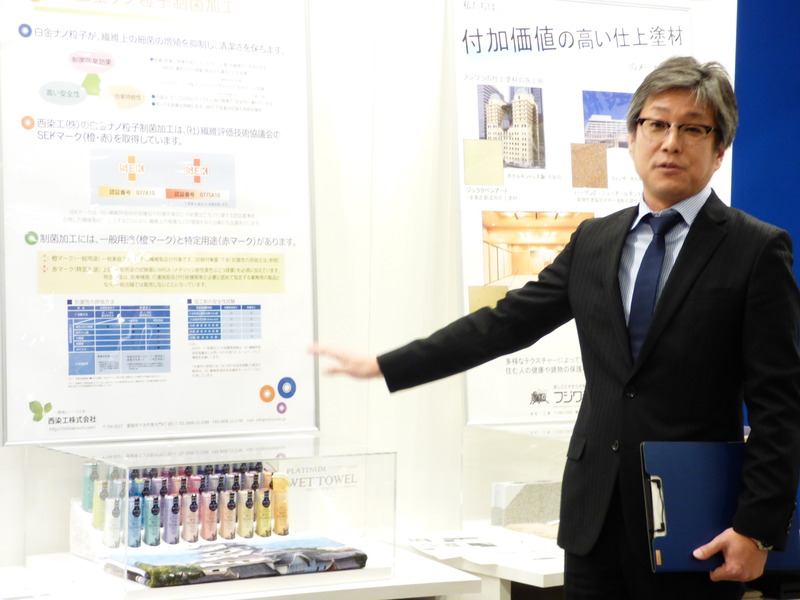 On January 8 following to exhibitor’s explanation from “Kinki Osaka Bank Exhibition”, more than 60 participants asked questions and exchanged ideas in the MOBIO Tech Hall and in the canteen. 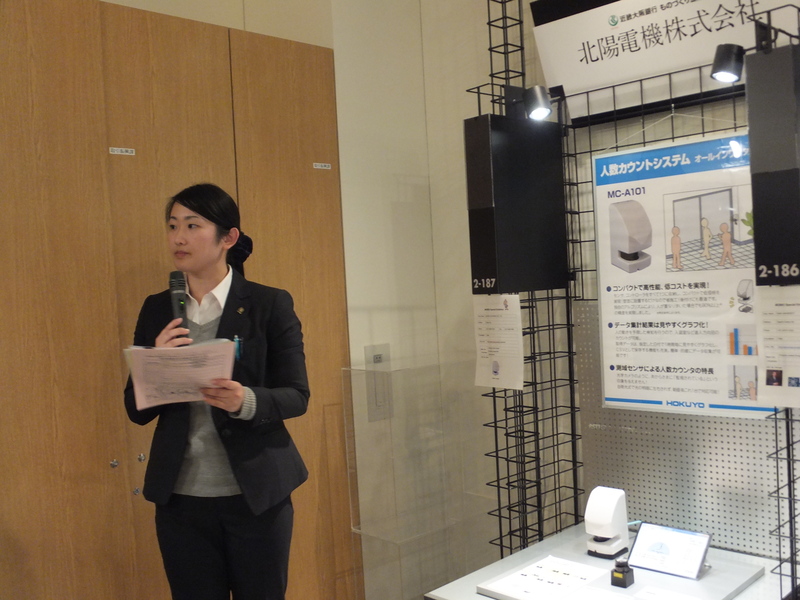 Its visitor counter, MC-A101, is applicable to libraries, museums, show rooms, amusement parks to count number of passing visitors by use of scanning range finder. 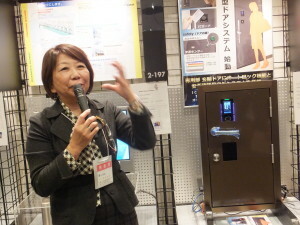 Its system helps to consider better service for visitors. 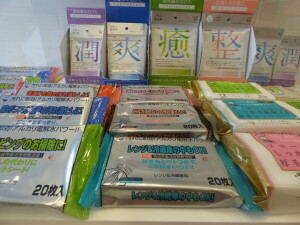 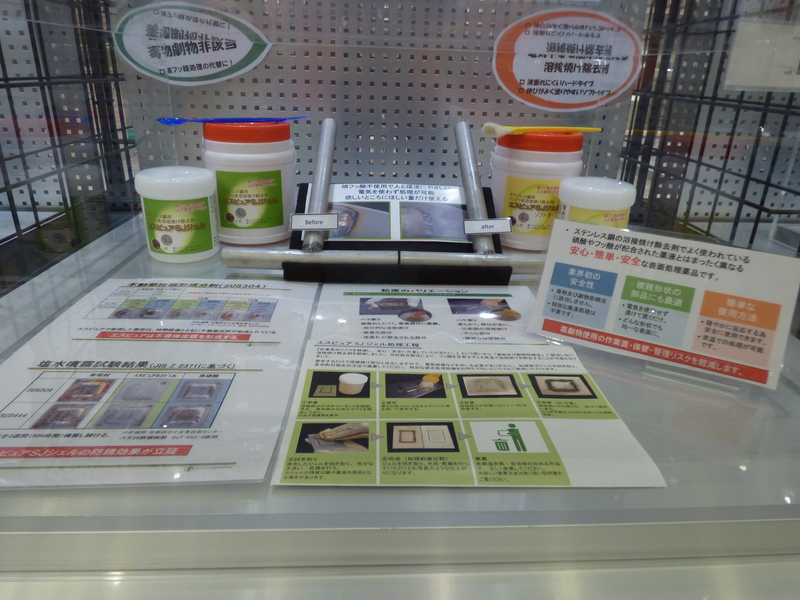 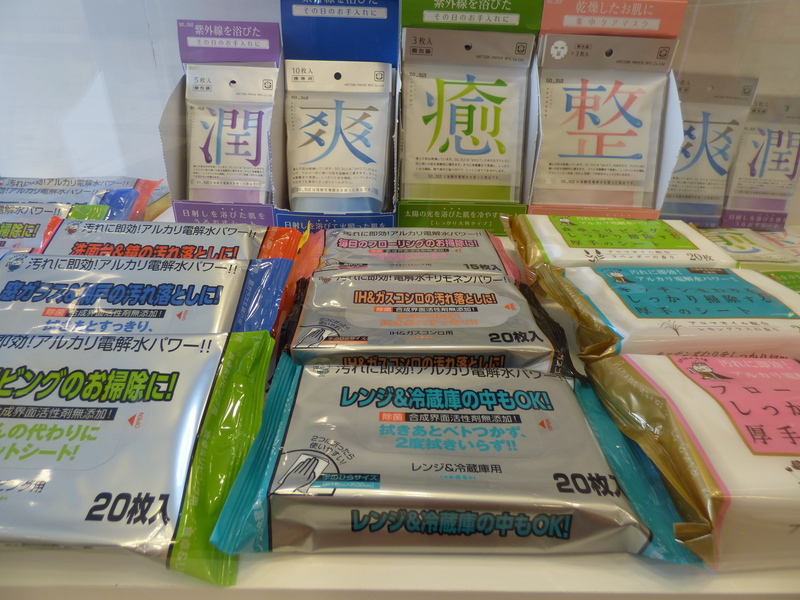 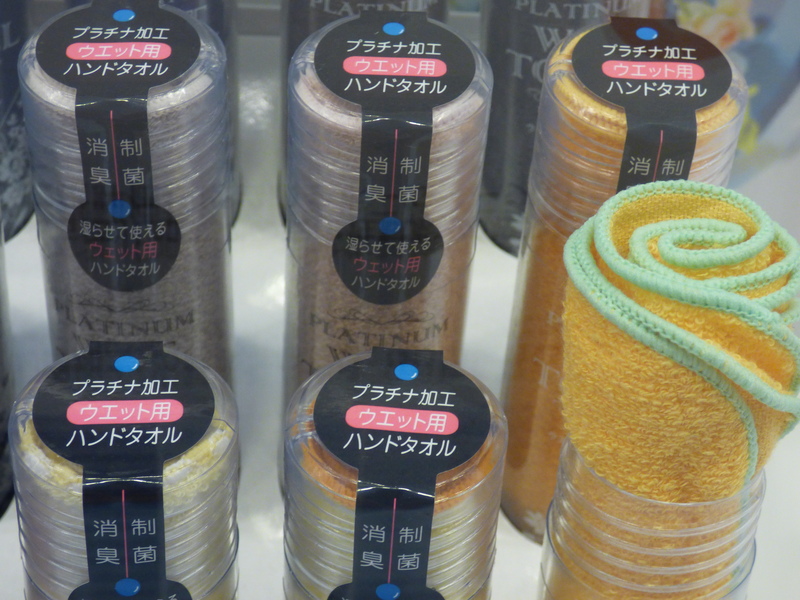 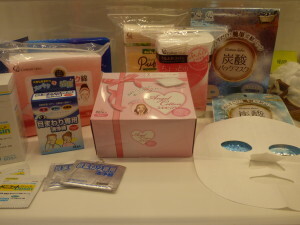 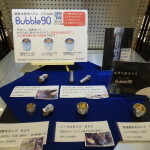 KINKI has already marketed various products in the market. They are the first in the world and patented – the aroma blended image solution, the fish collagen blended moisturizing cosmetic mist, the cup noodles containing tuba bone extract and so on. 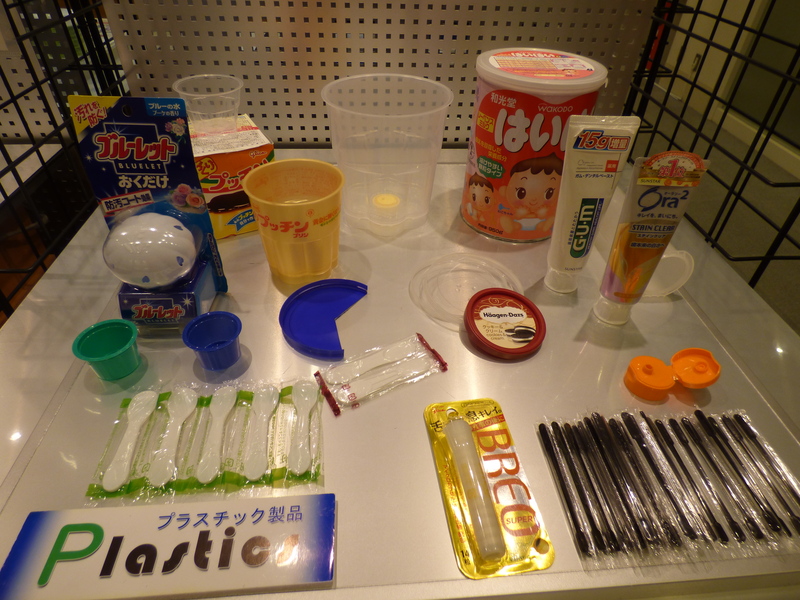 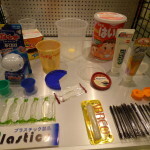 It is known as an one-stop manufacturing station of thermosetting plastics. 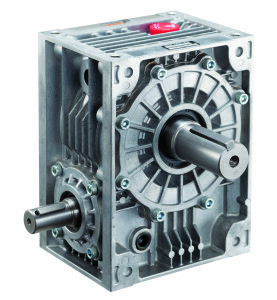 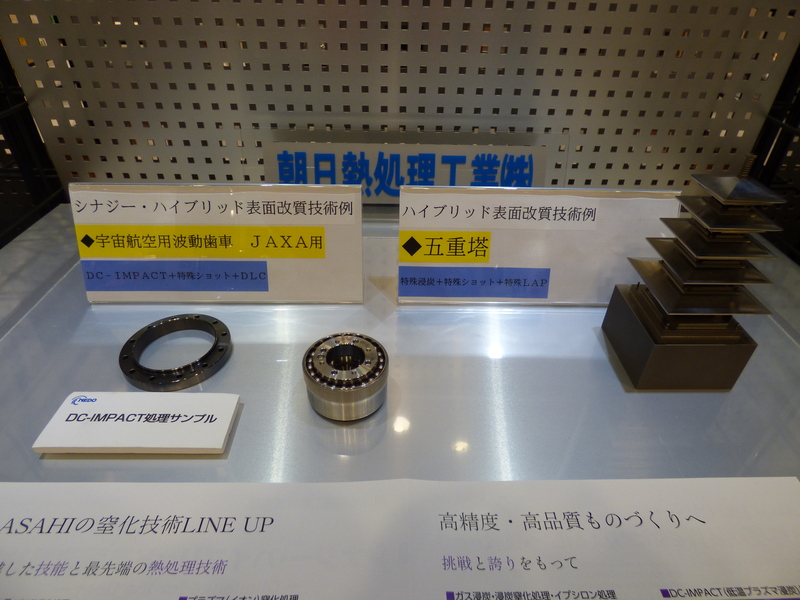 By machining and grinding, ASAHI is possible to create new parts with heat-resistance, voltage endurance and other characteristics. 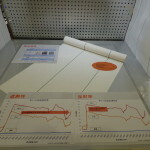 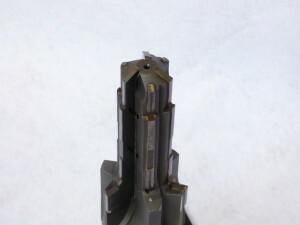 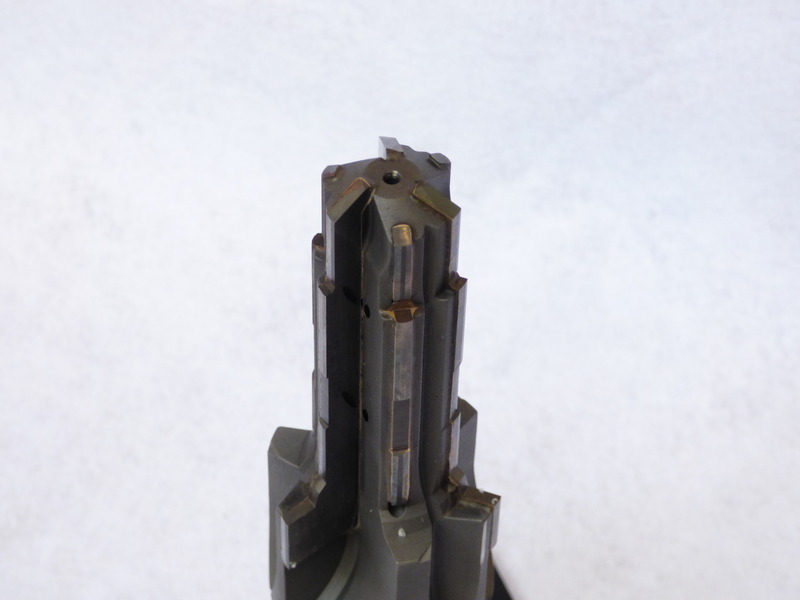 AMC has succeeded in grain refinement of cemented carbide to fabricate a wear resistant cutting tools. 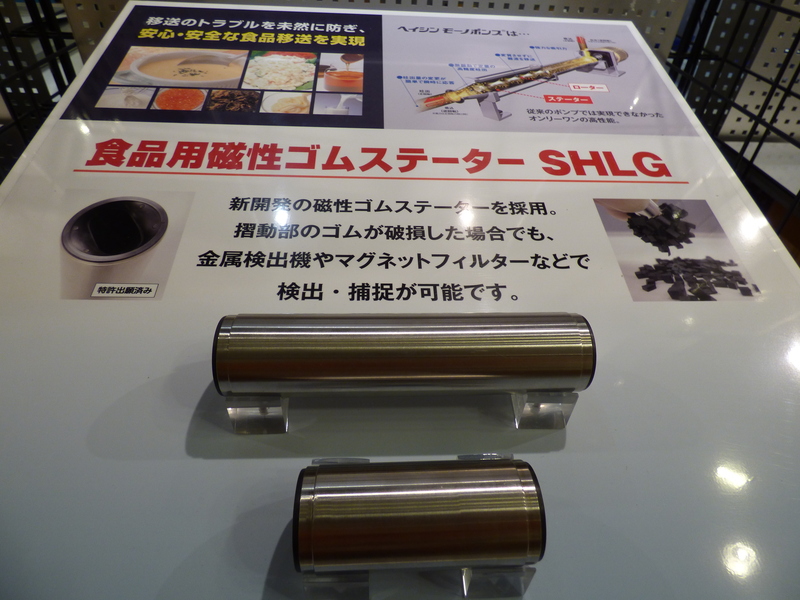 By laser processing and special forging, it is capable to harden SKD11 material up to HRC67. 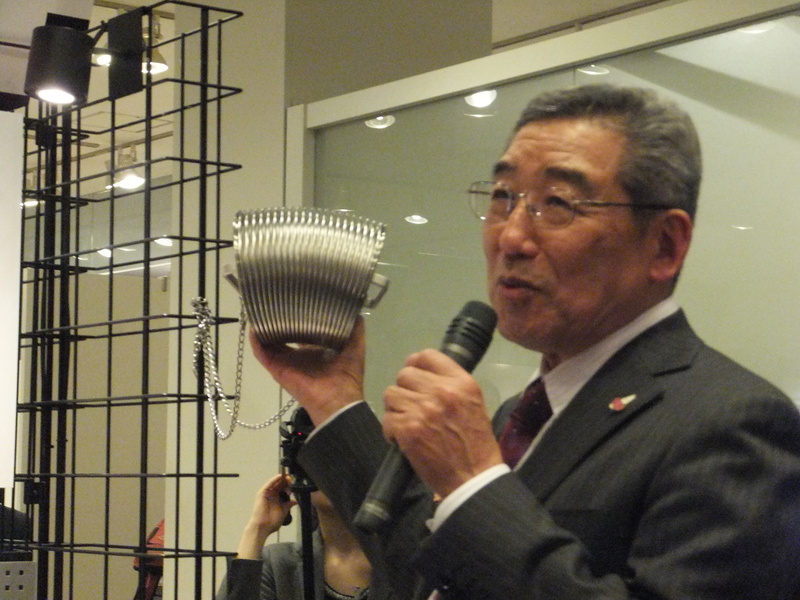 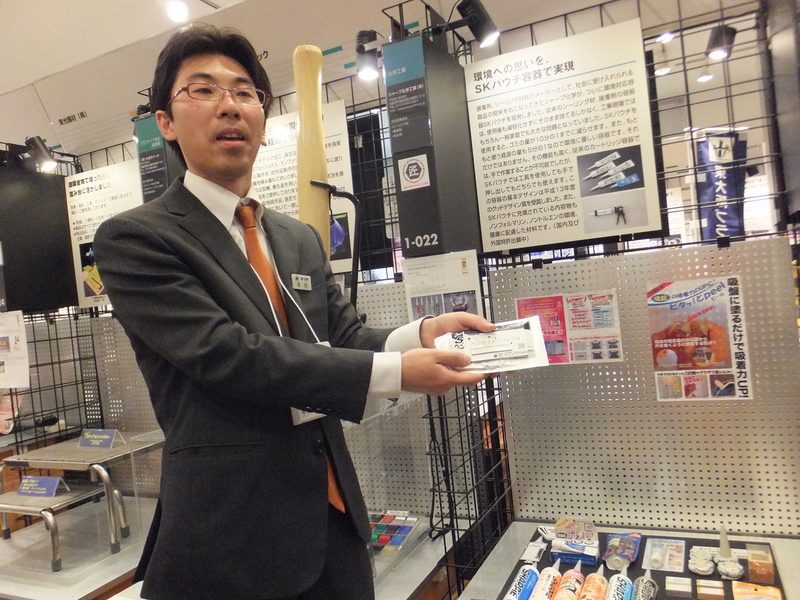 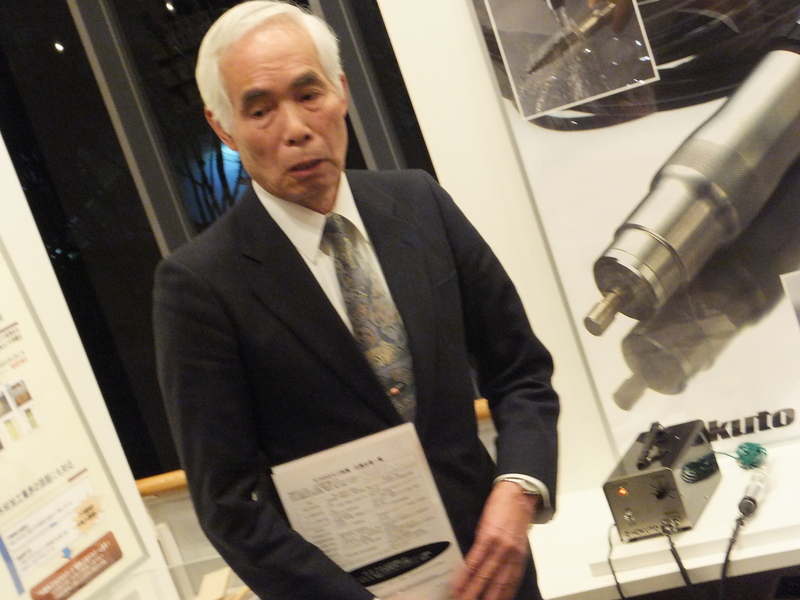 MISHIMA displays an oral tube for small animal experiments with round tube end and patented golf tees for longest drive contest. 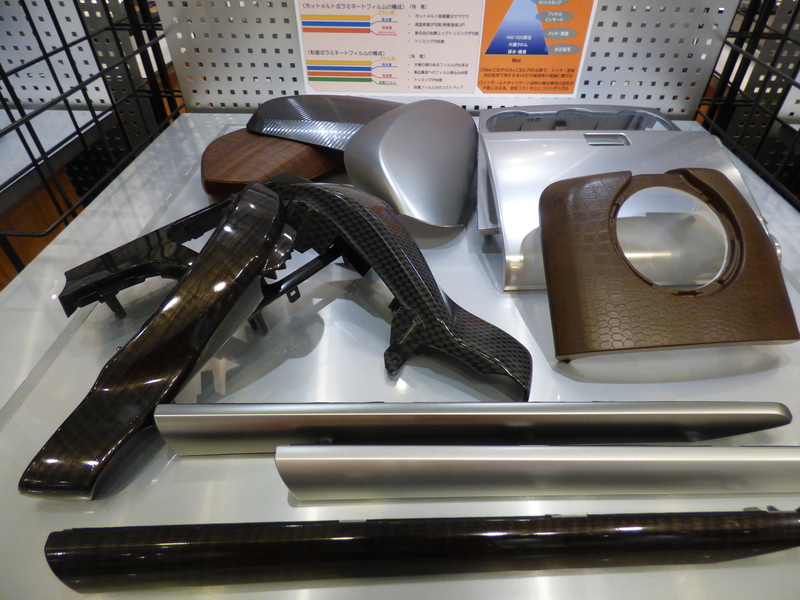 Its tee has been approved by long drive contest associations and will be available from this March for public golfers. 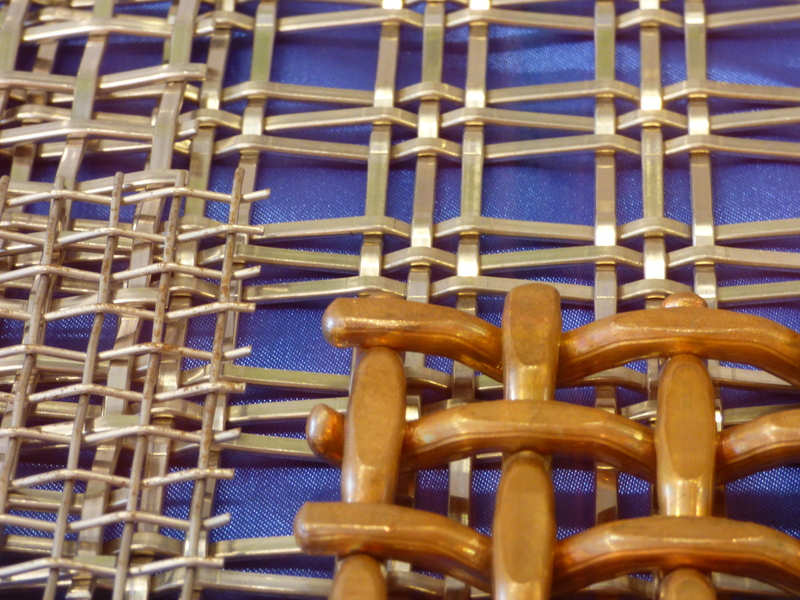 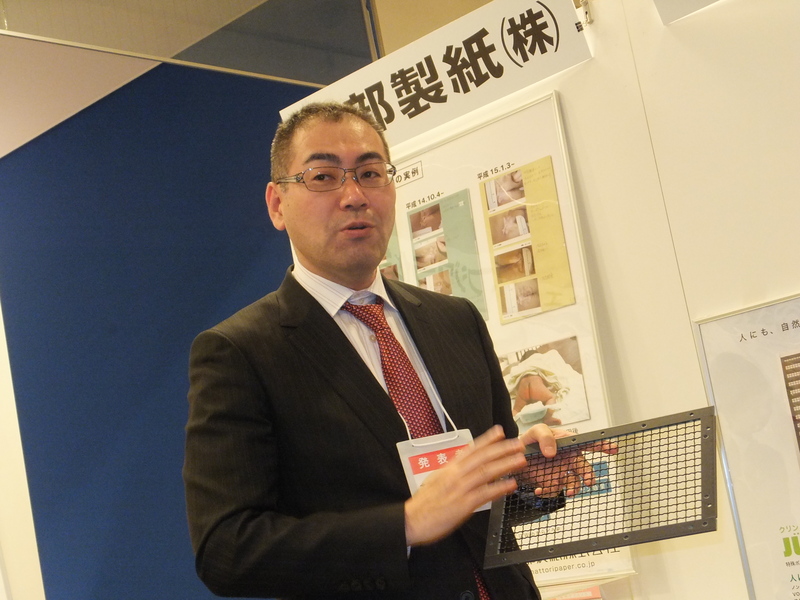 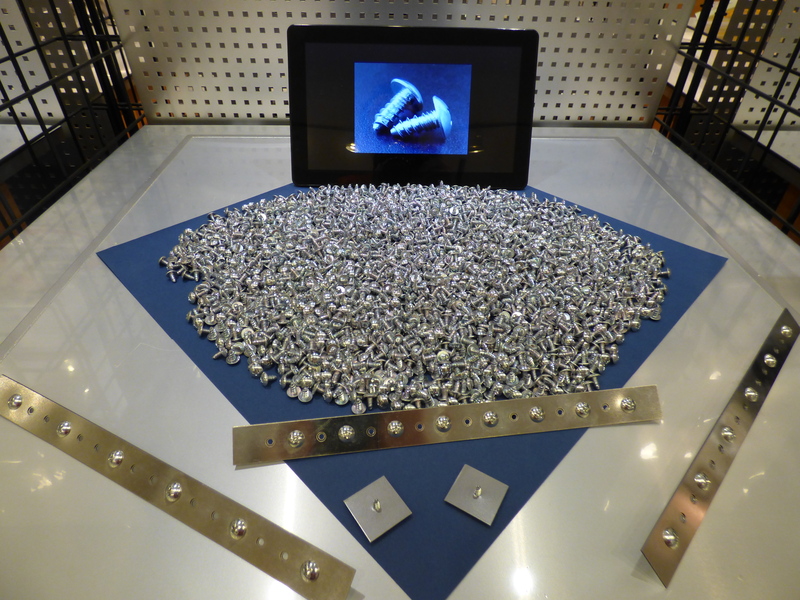 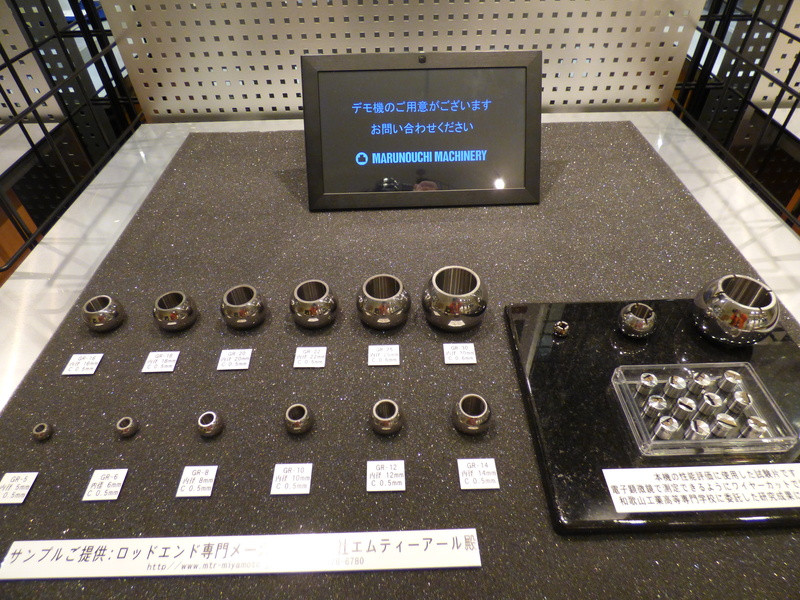 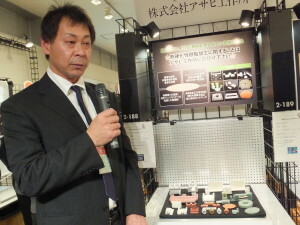 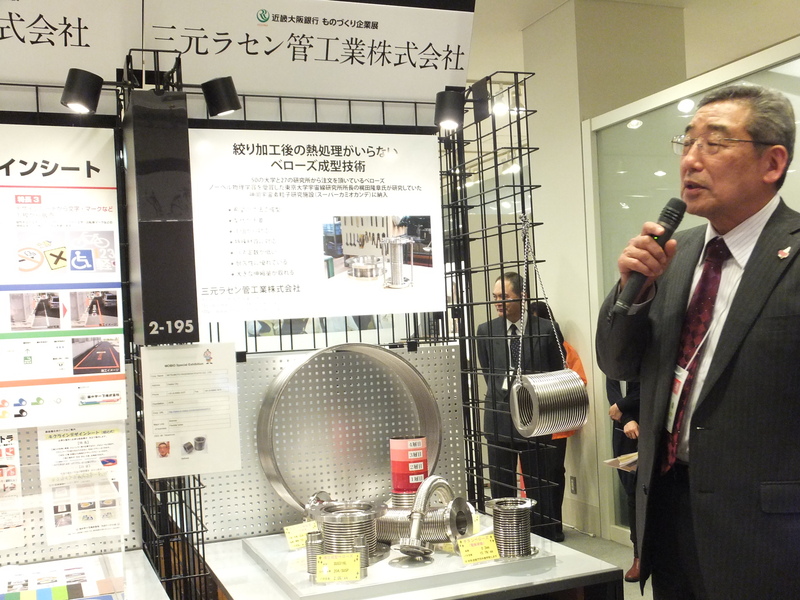 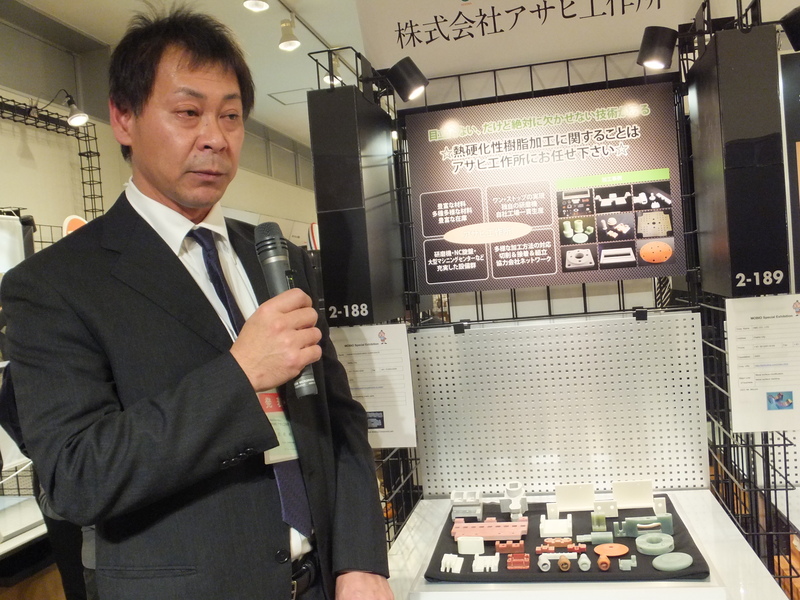 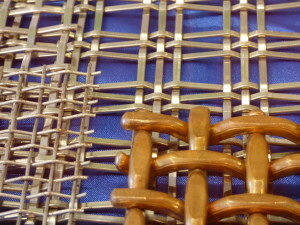 NISHIO offers integrated fabrication (such as four-jaw chucking, contact free processing and etc.) 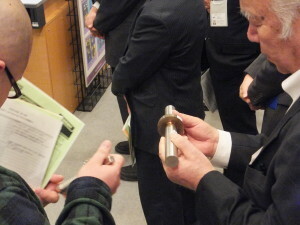 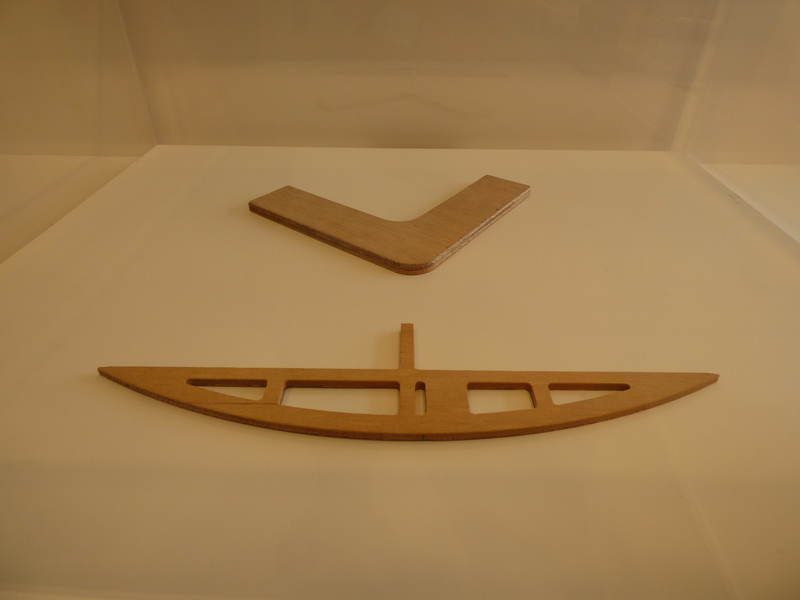 based on traditional and craftsman’s skill by use of a general purpose lathe and a shaping machine. 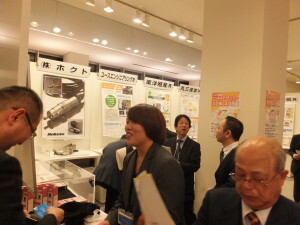 It also assist SMEs to transmit manufacturing skills. 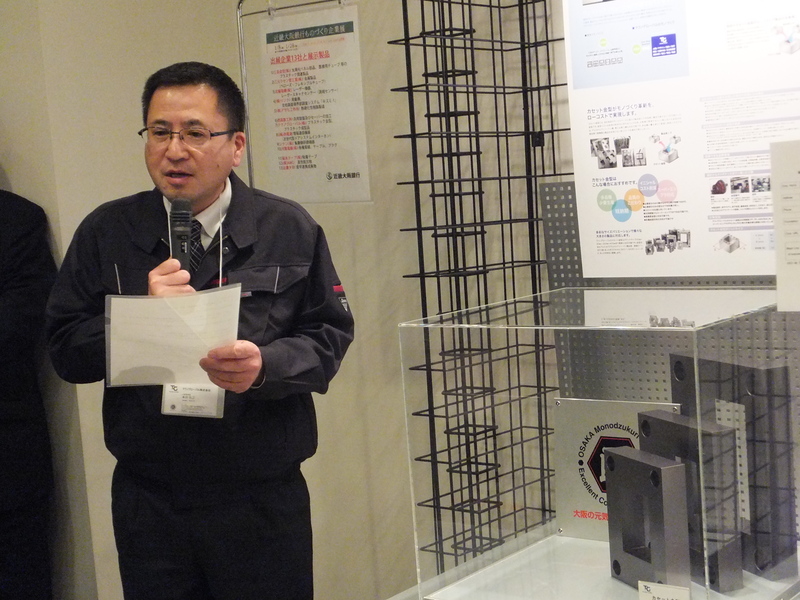 “Kizumi-1″ is an inspection system of road pillar bottom in the ground without excavation. 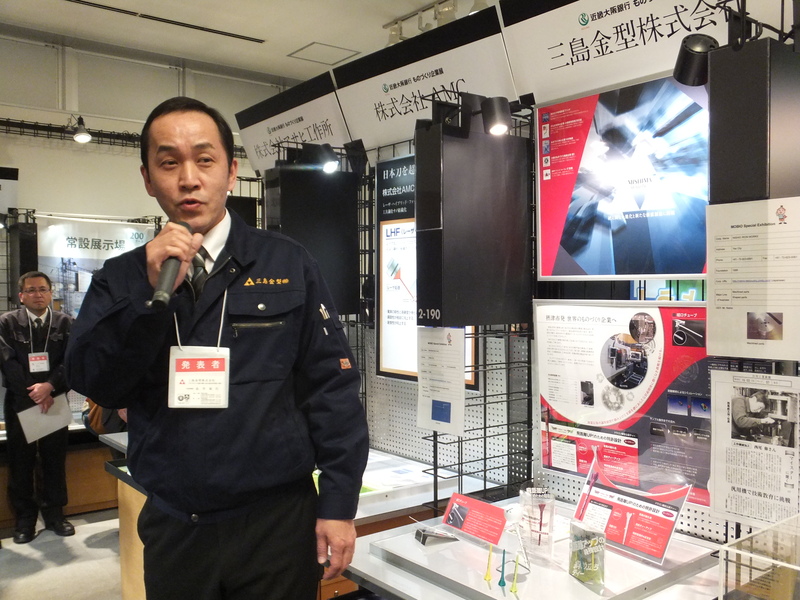 Using ultrasonic waves, it inspects damage or corrosion of street light poles, sign board poles to prevent any side buckling in advance. 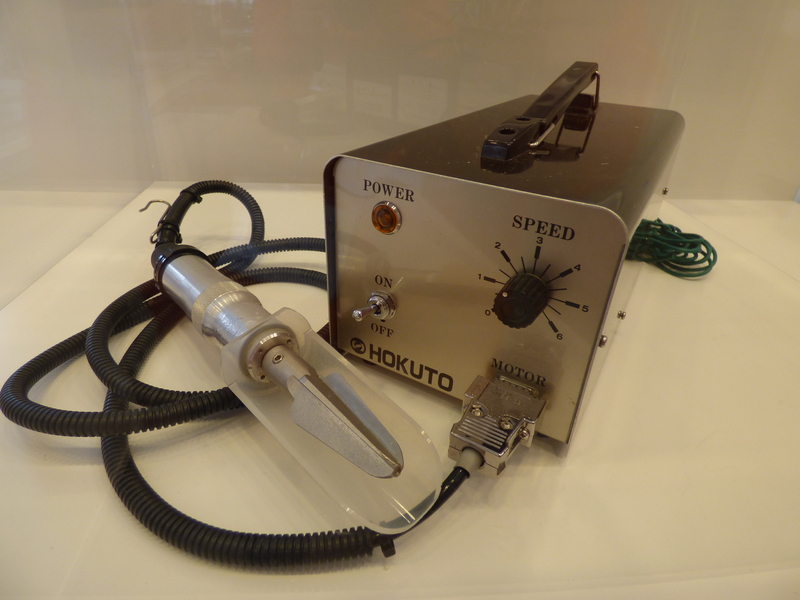 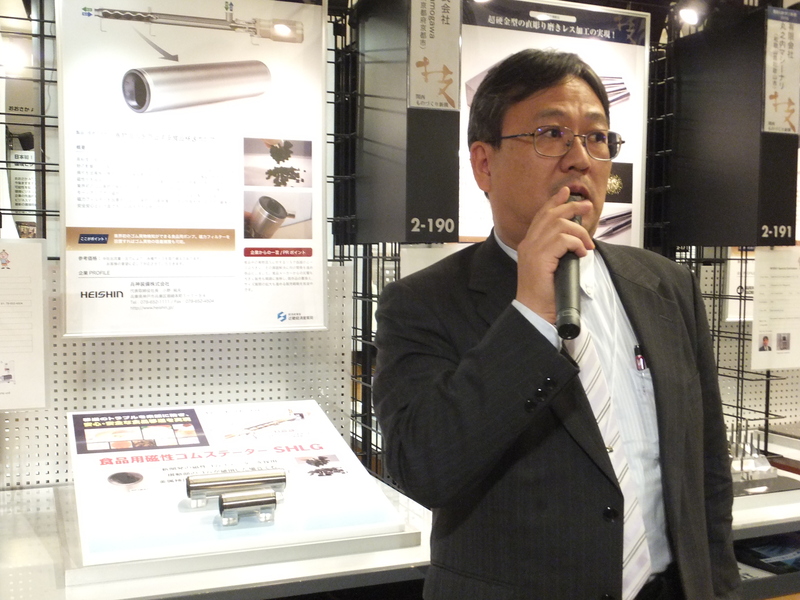 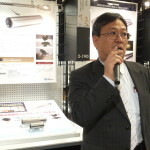 MITSUMOTO is capable to draw tubes (up to 850 mm width) deeply by 1 mm without any additional tooling charges. 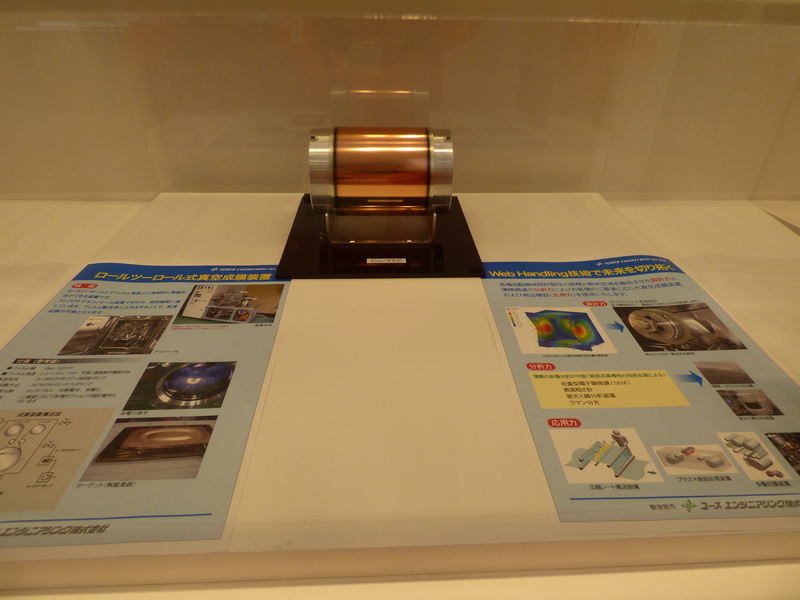 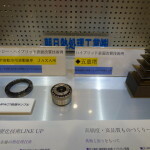 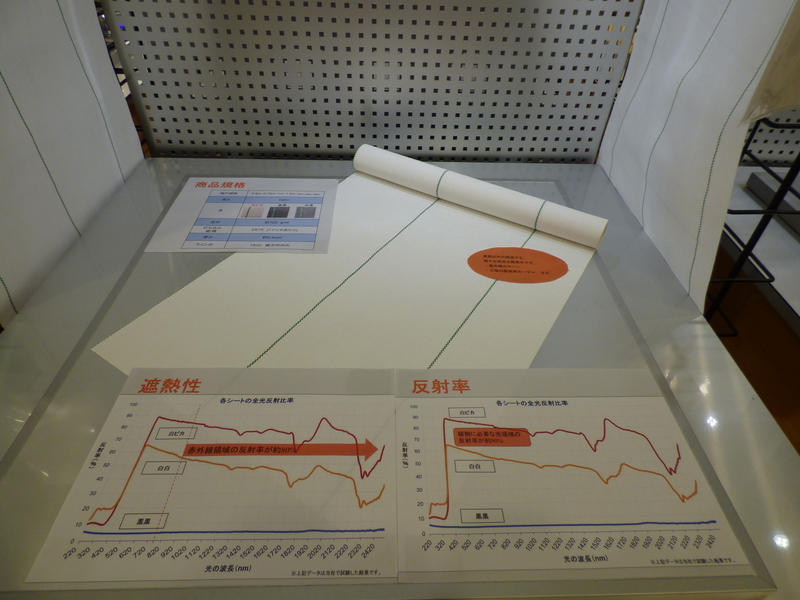 Because its bellows feature a low spring constant and outstanding pressure resistance, they are used even at the R & D center where the 2015 Nobel prize winner is working. 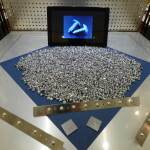 The cassette mold system is consisted of the mother frame mold and the unique mold to be arranged by customer’s demand; and assists to reduce operation loss time and production cost. 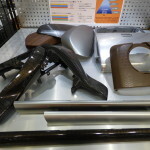 Its Vietnam factory works further for cost savings. 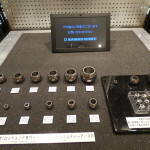 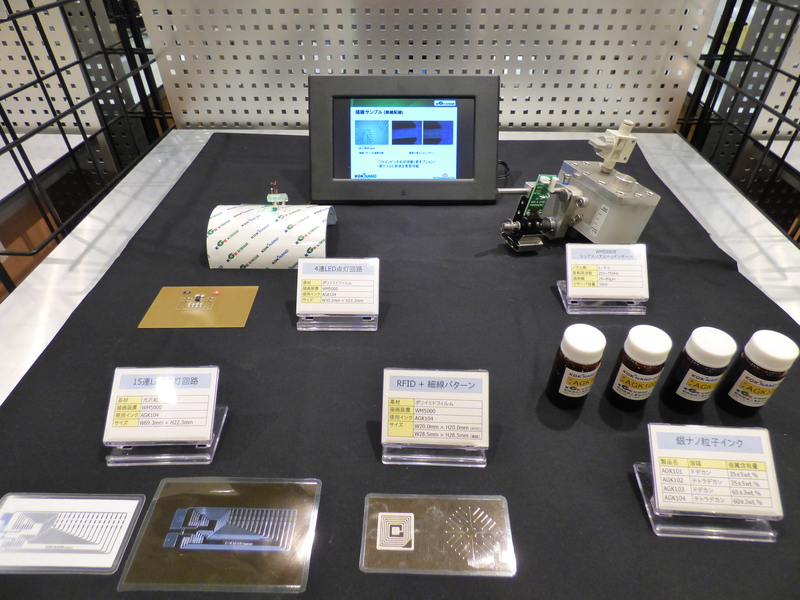 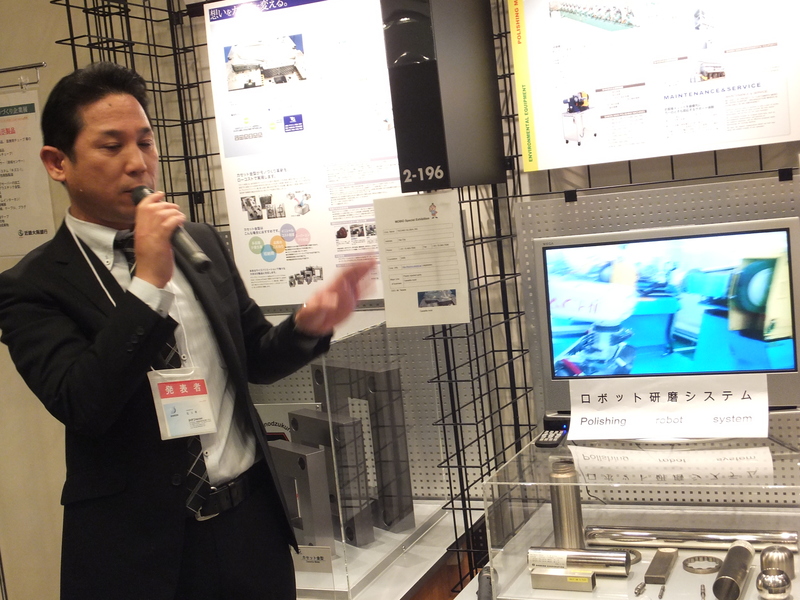 In order to meet growing demand to polish deformed components, SHIKEN has developed polishing software to be installed in industrial robotics. 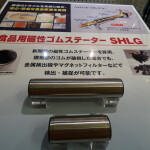 To feed polishing material at a stable pressure it has created the special polishing head as well. 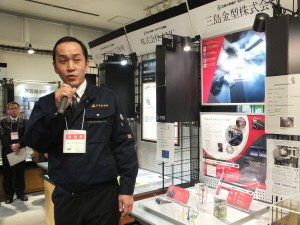 Its surveillance system, Telearc, is the next-generation technology to be mounted in the entrance door and to offer auto-lock function and safety information. 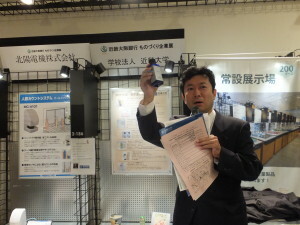 Authentication by facial recognition works a key to release lock. 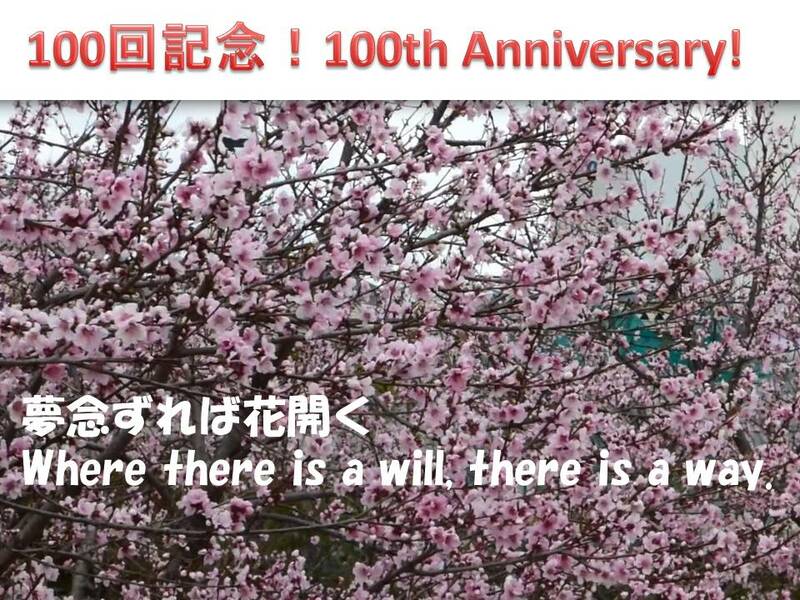 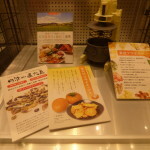 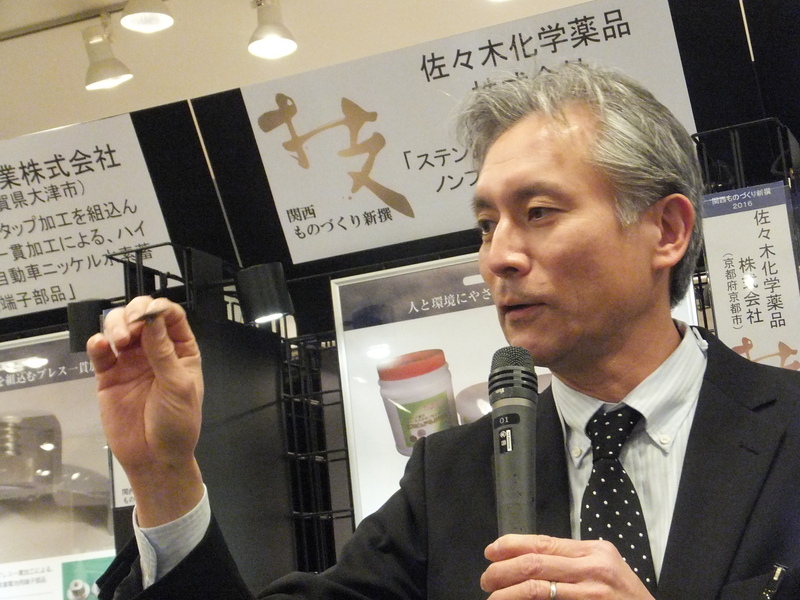 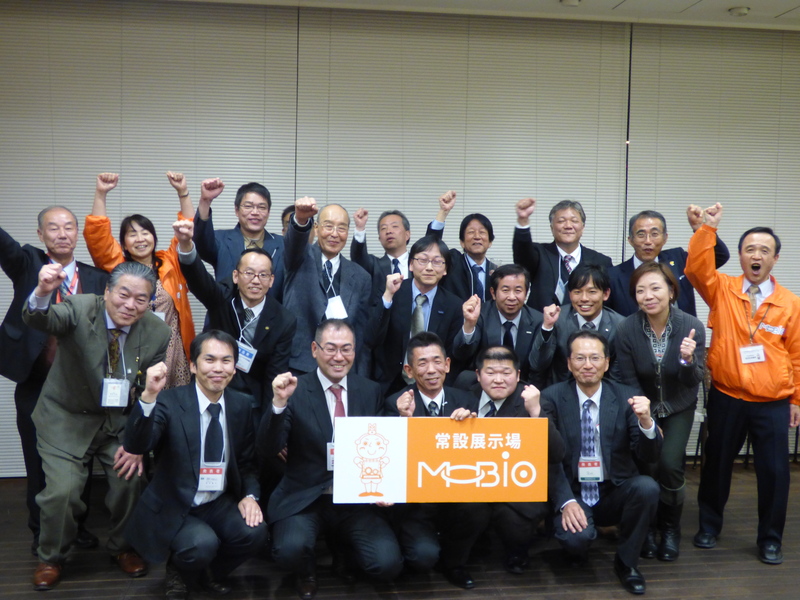 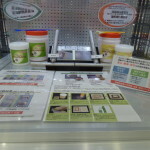 The next MOBIO Cafe Meeting will be hosted on January 26 by ten companies from Ehime pref. 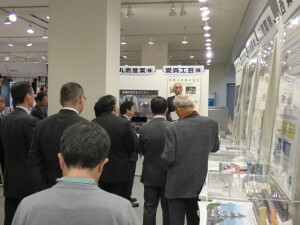 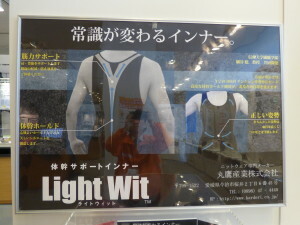 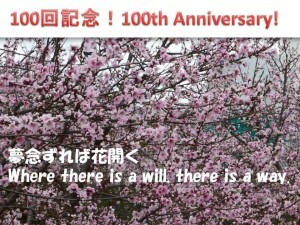 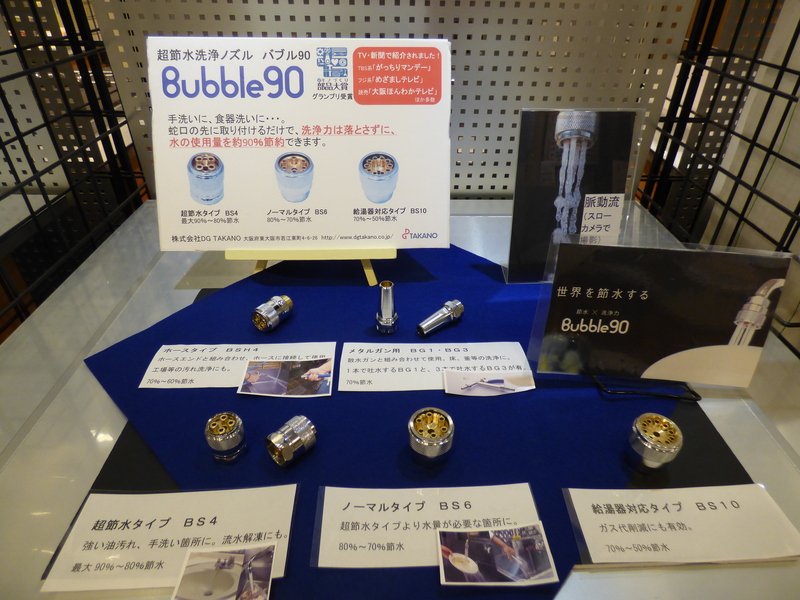 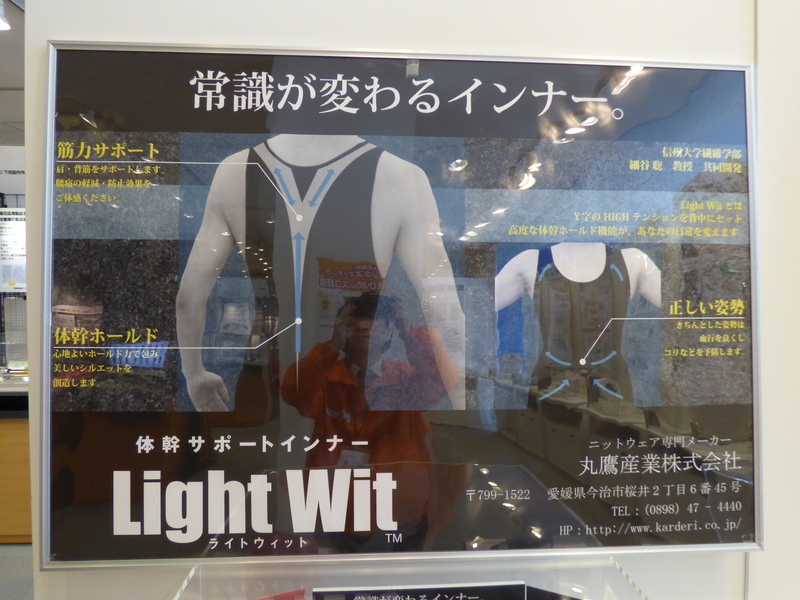 Special Exhibition. 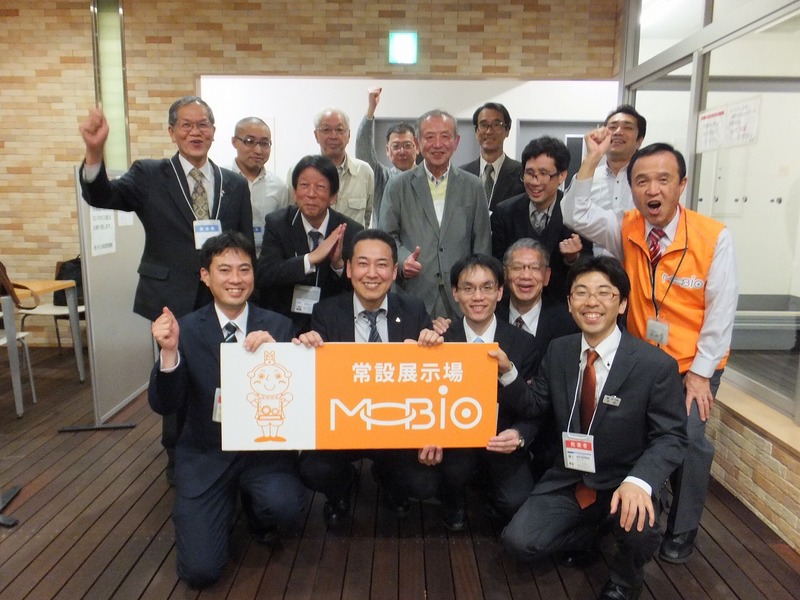 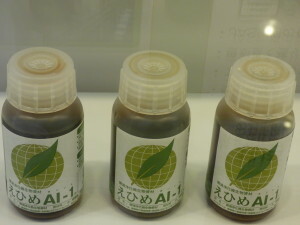 The 1st MOBIO Cafe Meeting in 2016 started on Jan. 8. 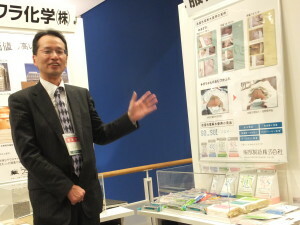 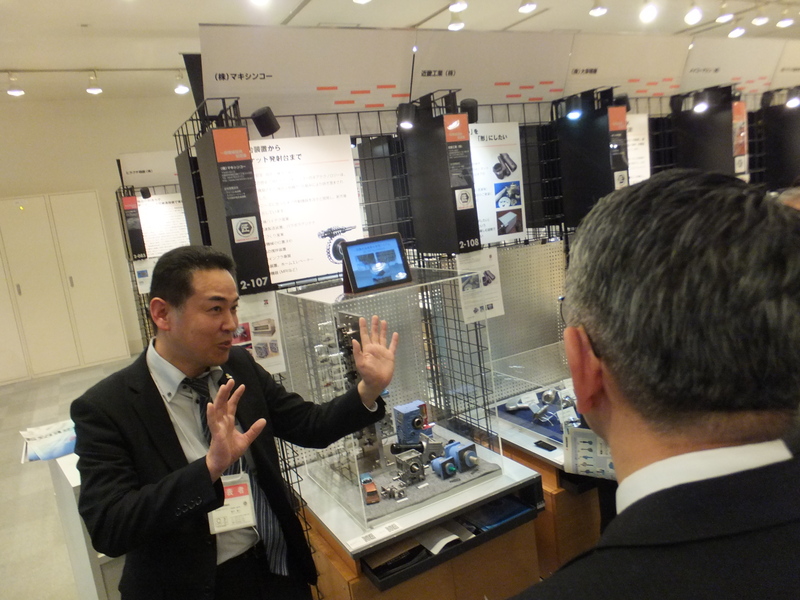 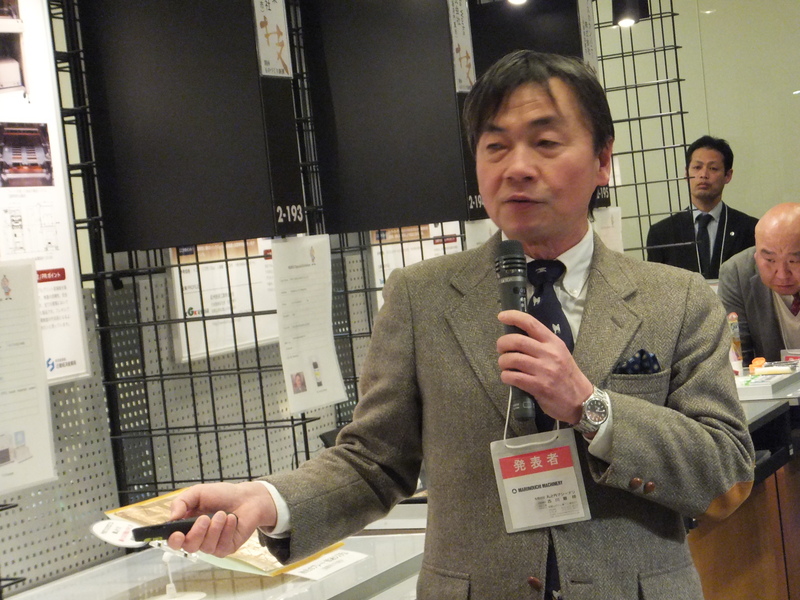 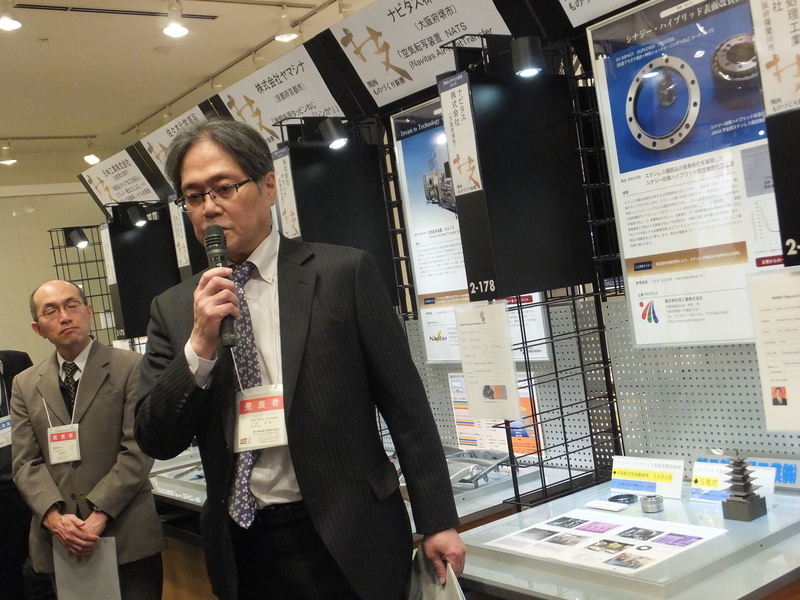 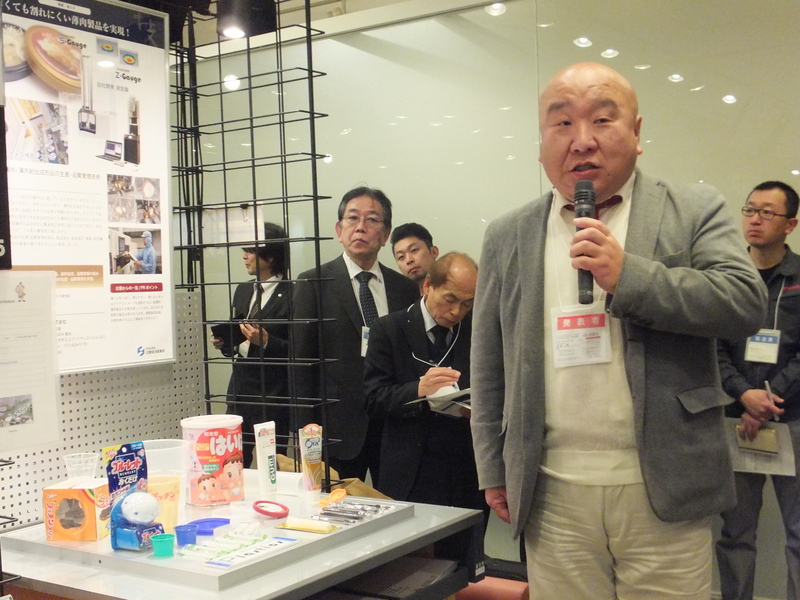 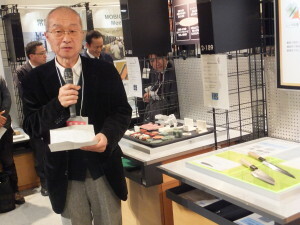 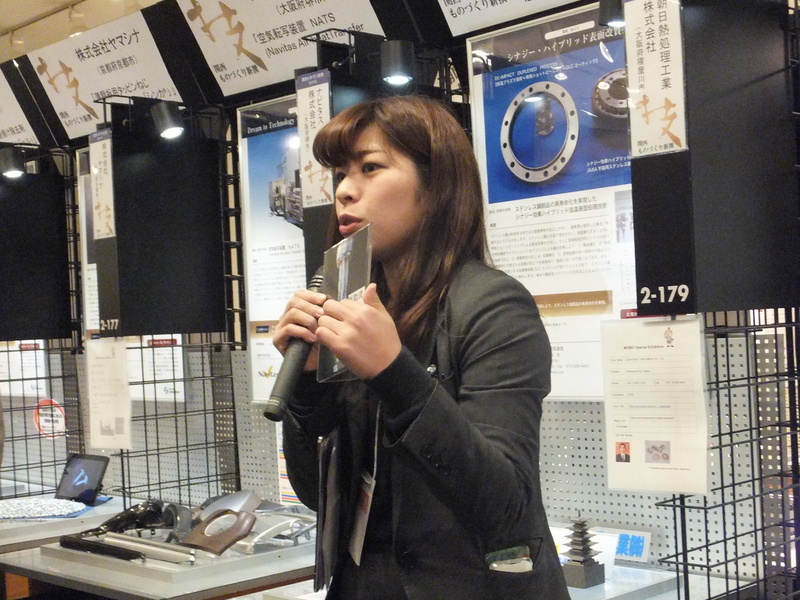 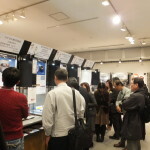 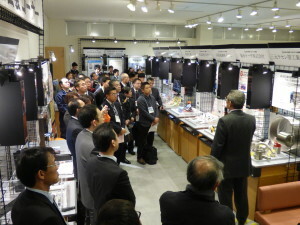 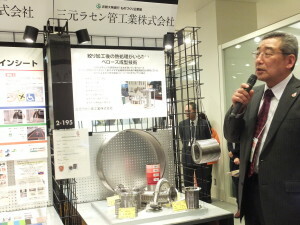 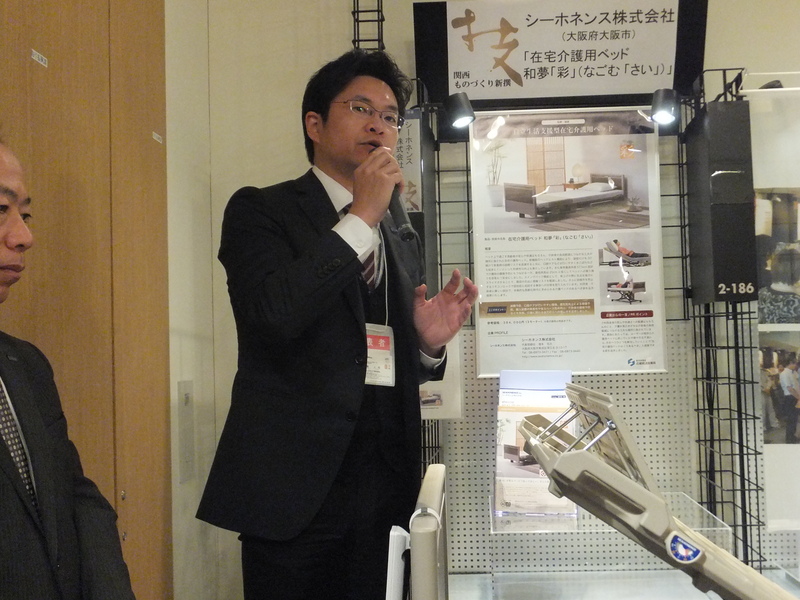 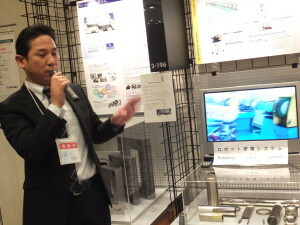 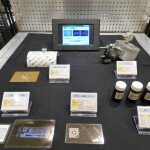 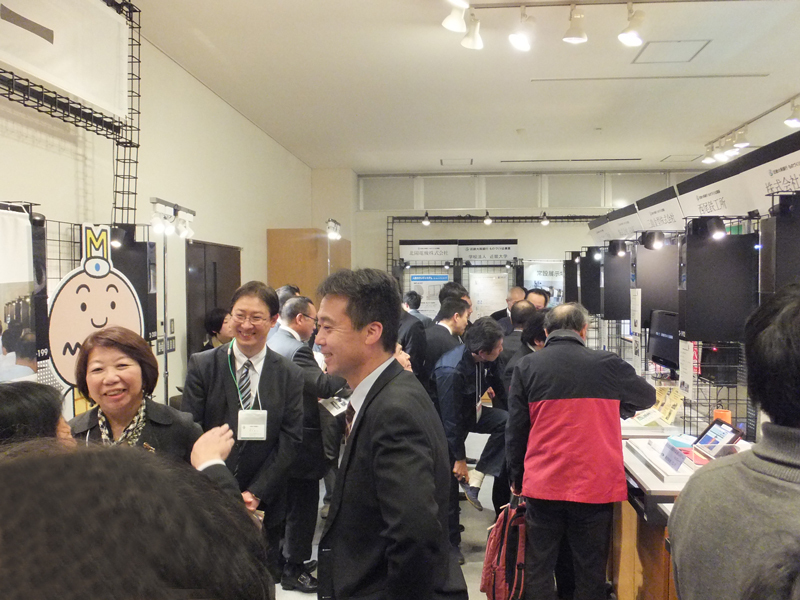 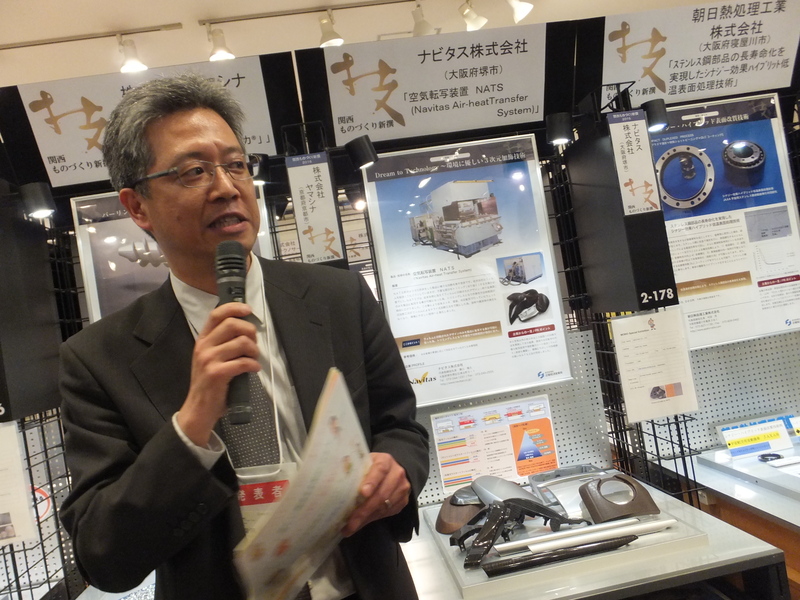 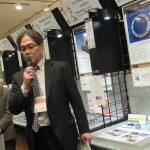 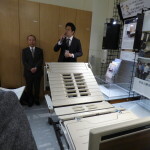 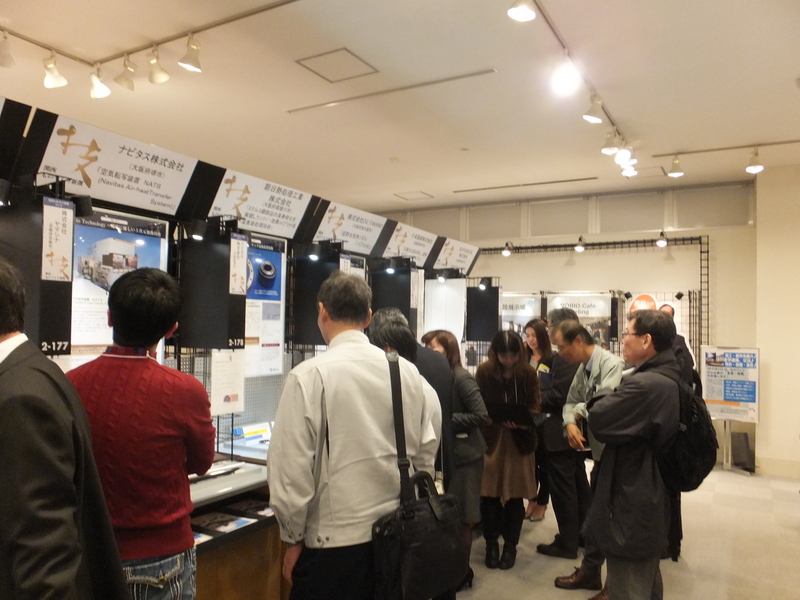 13 exhibitors explained their products and technologies in front of the crowds. Again this year MOBIO keeps on going and going! 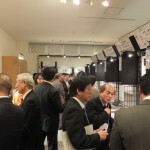 Entries (RSS) and Comments (RSS).30 queries. 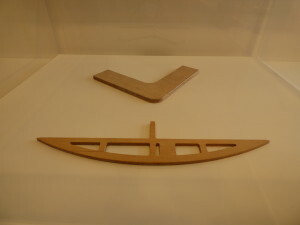 0.876 seconds.